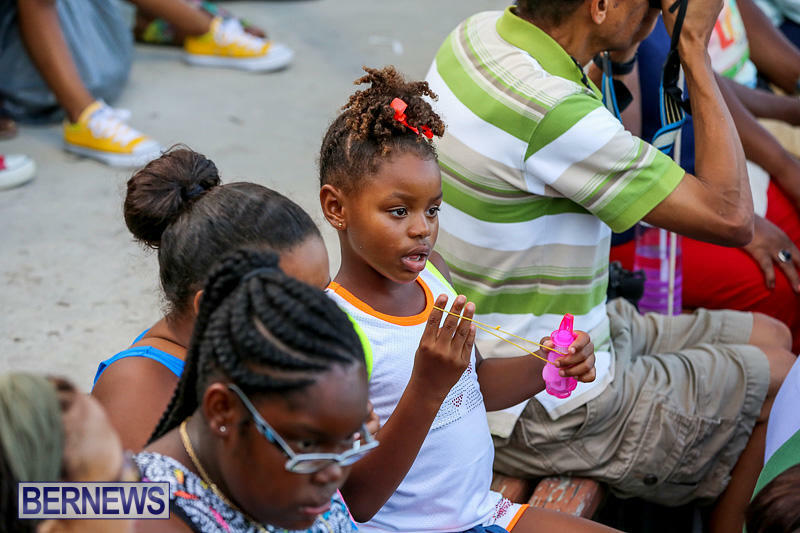 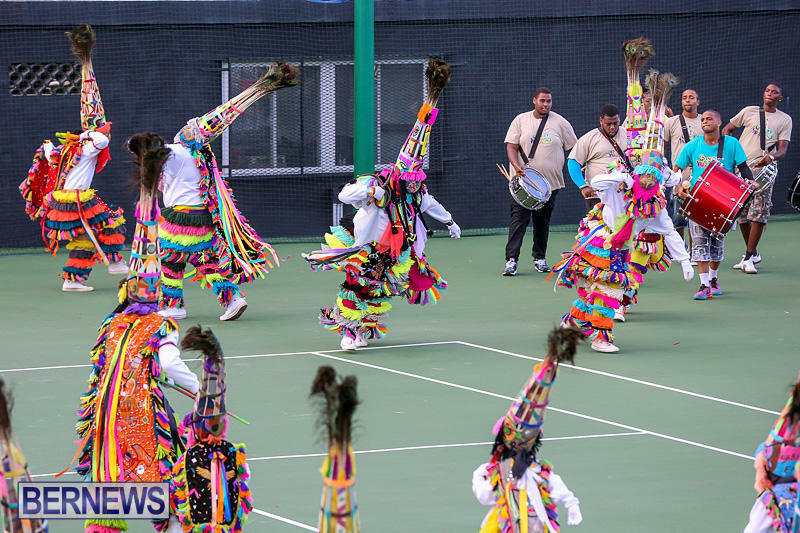 The Department of Community and Cultural Affairs is inviting the public to come out and enjoy the 2017 Bermuda International Gombey Festival, which has been expanded this year from a one-day event to an entire weekend. 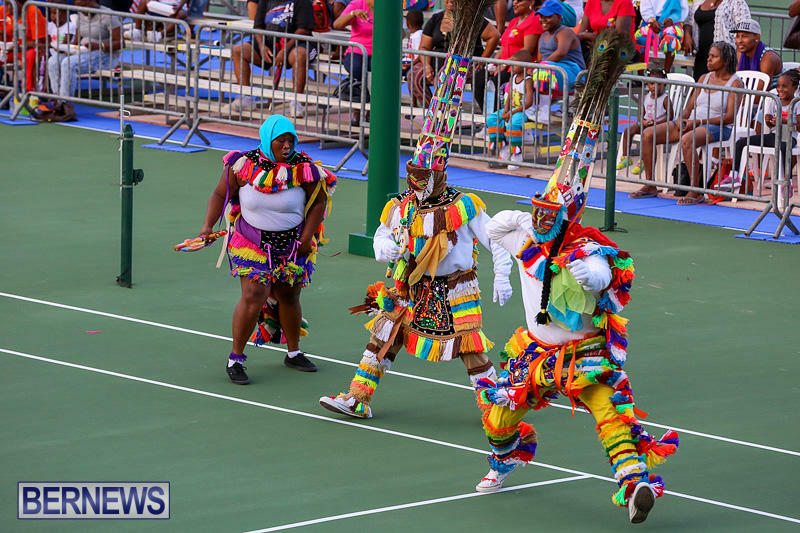 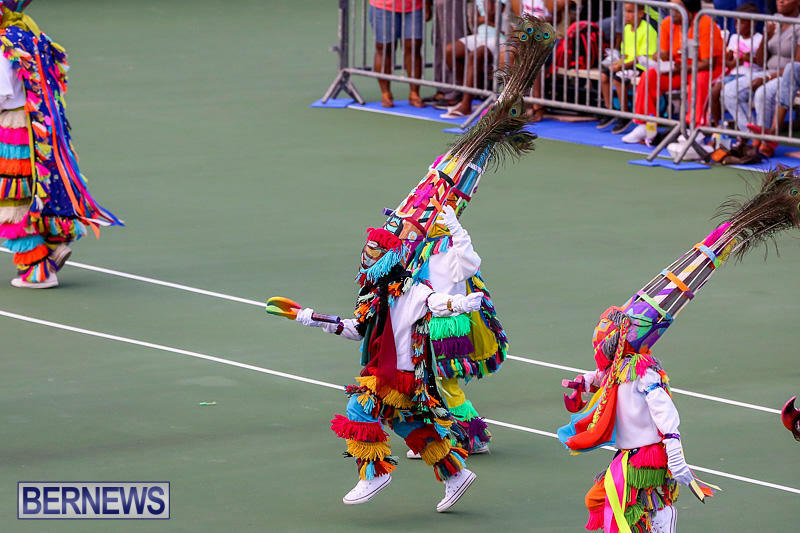 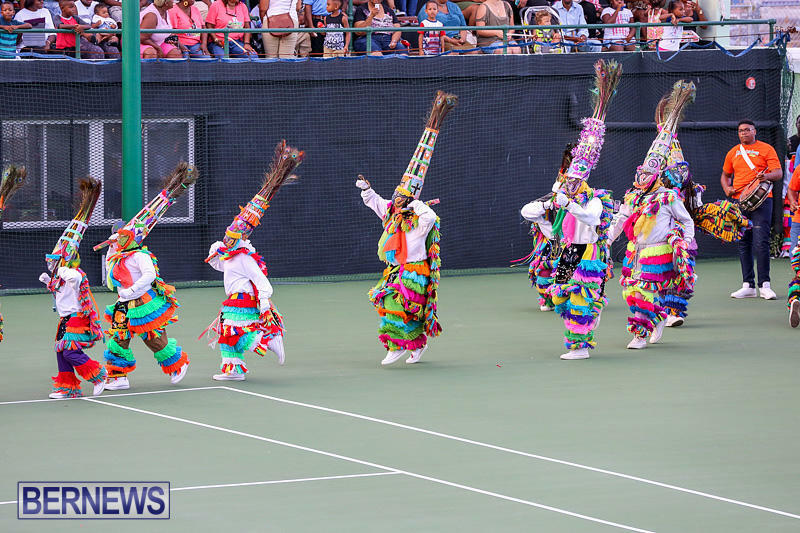 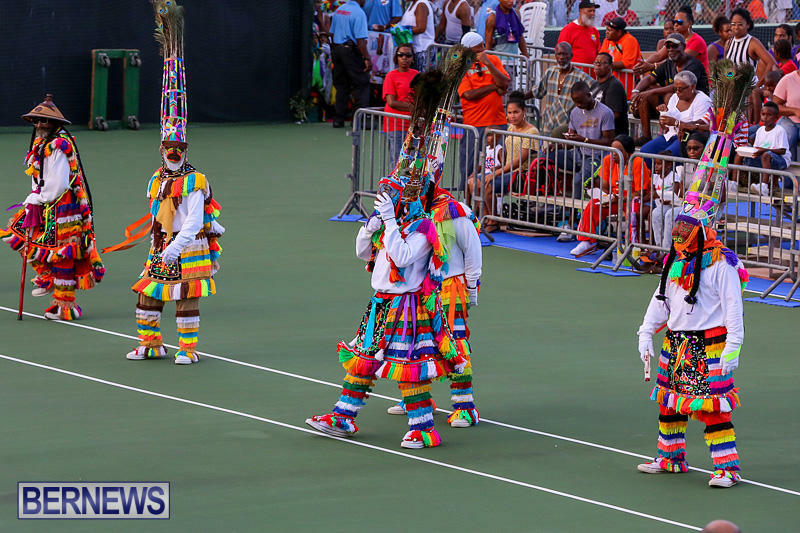 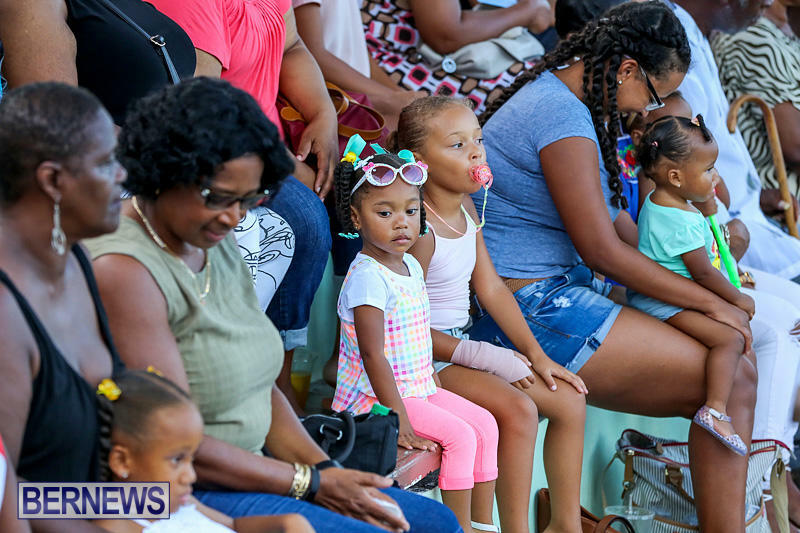 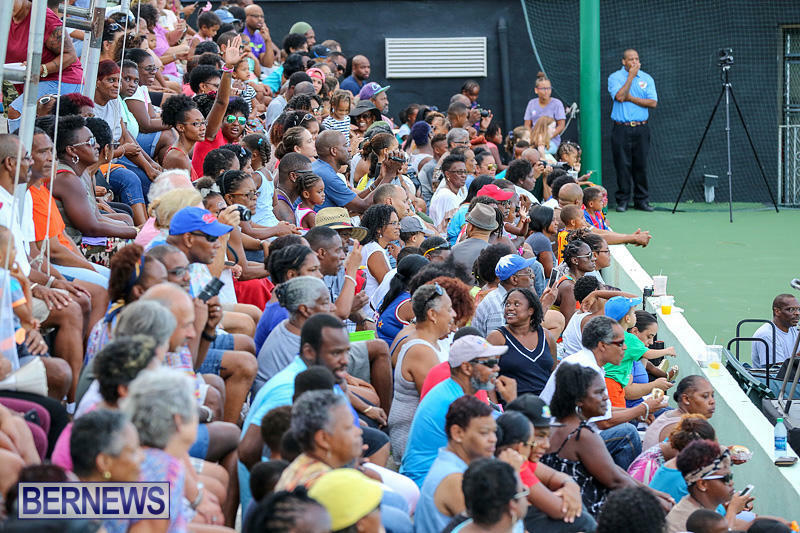 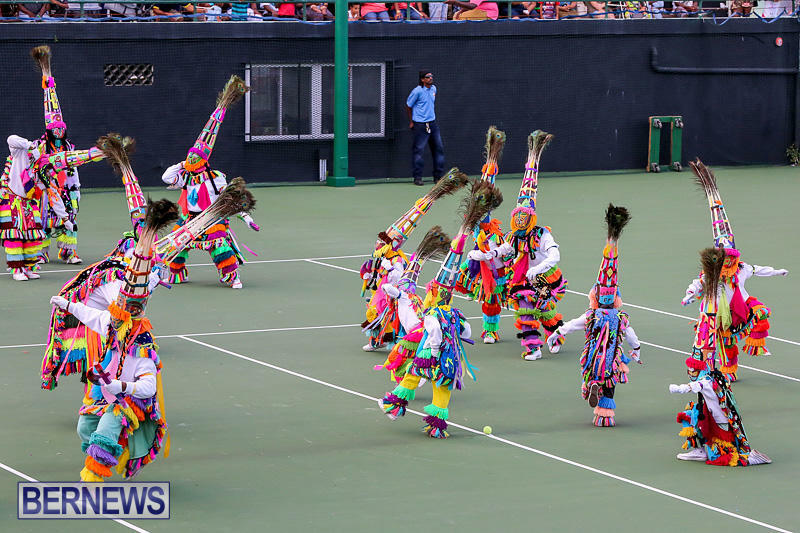 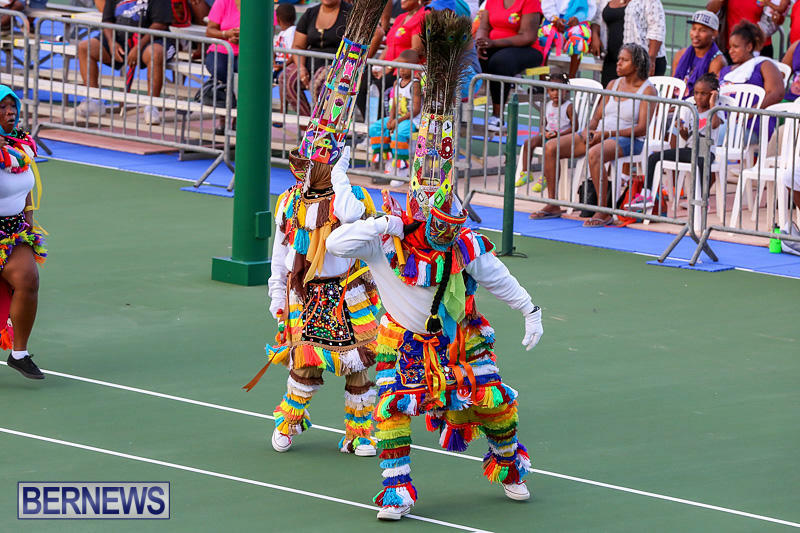 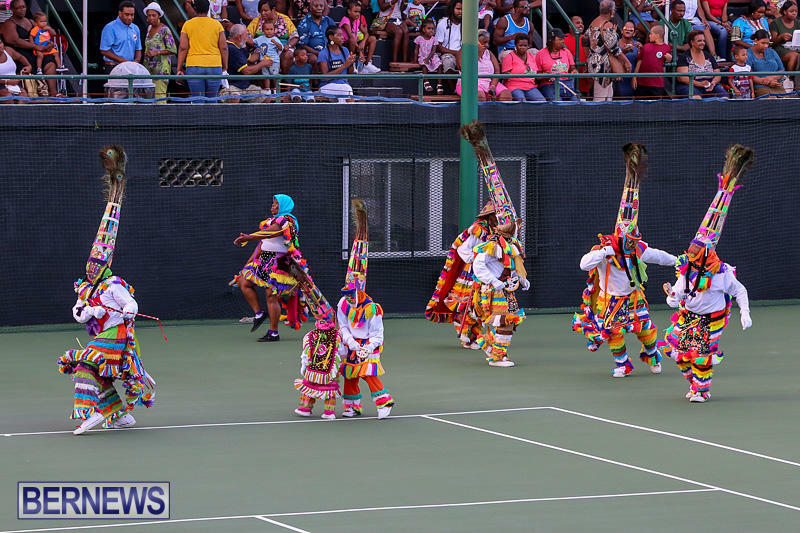 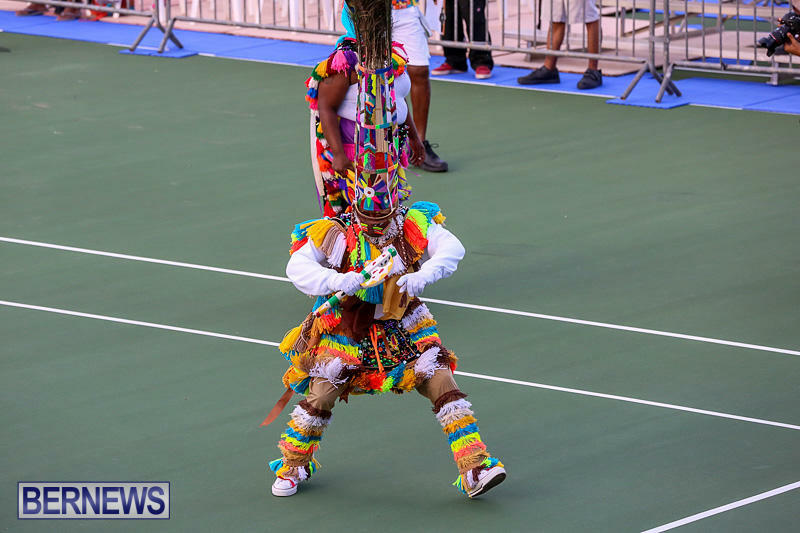 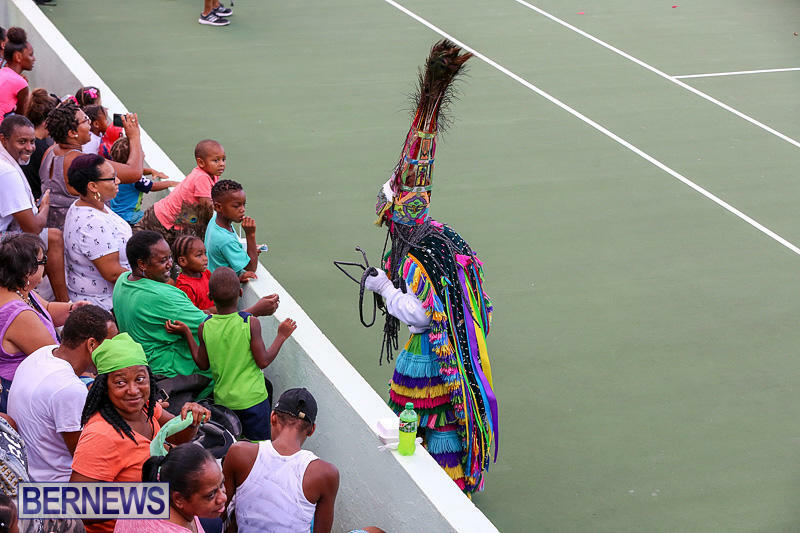 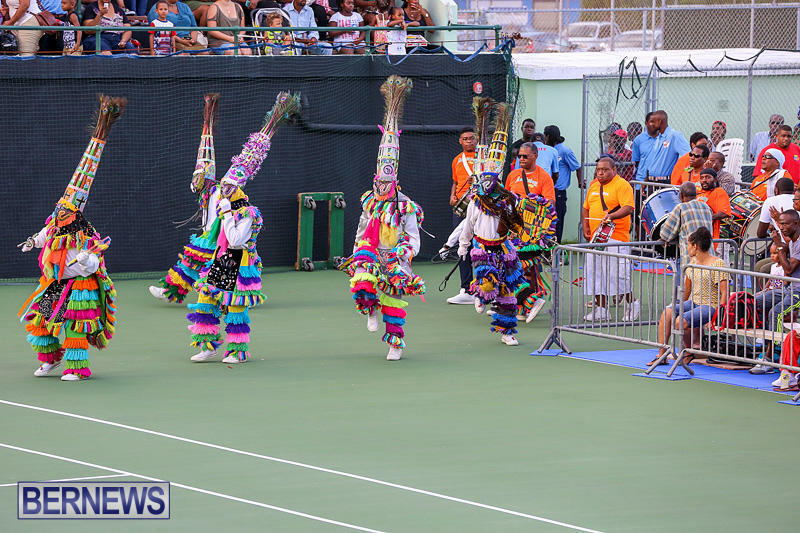 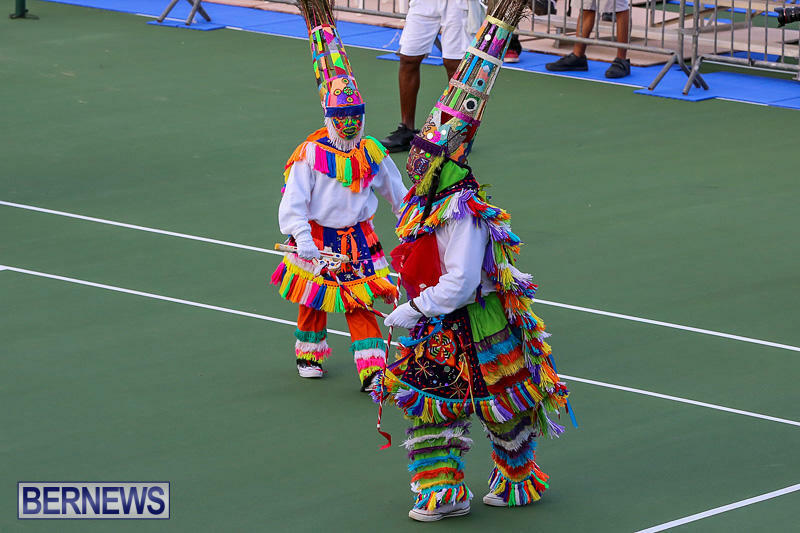 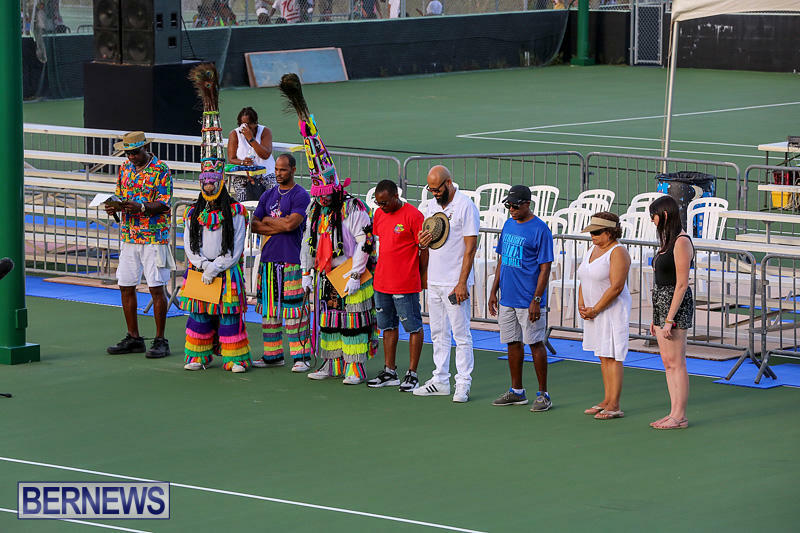 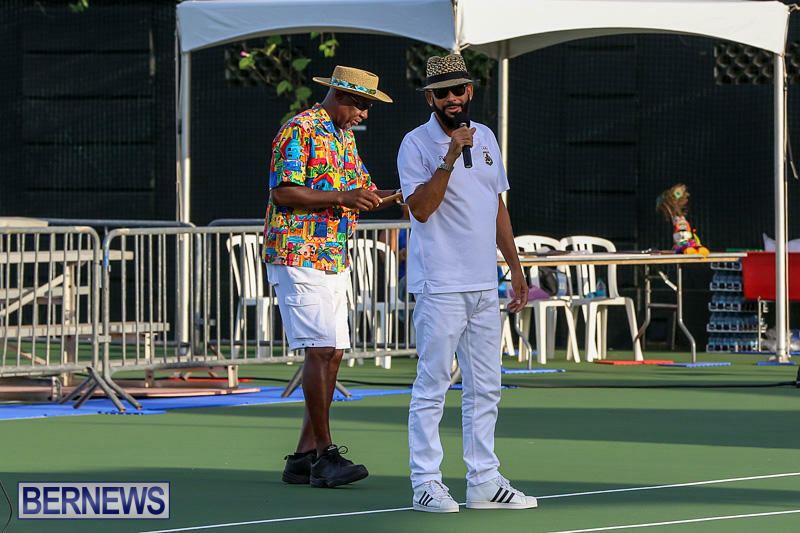 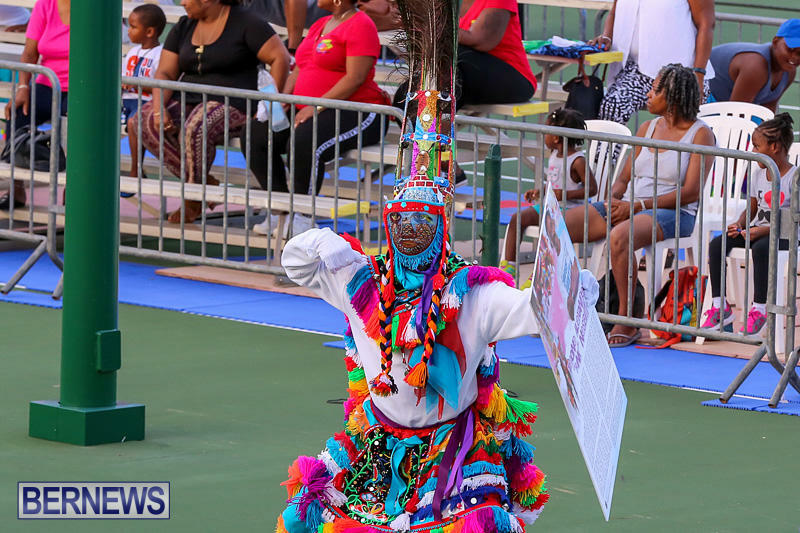 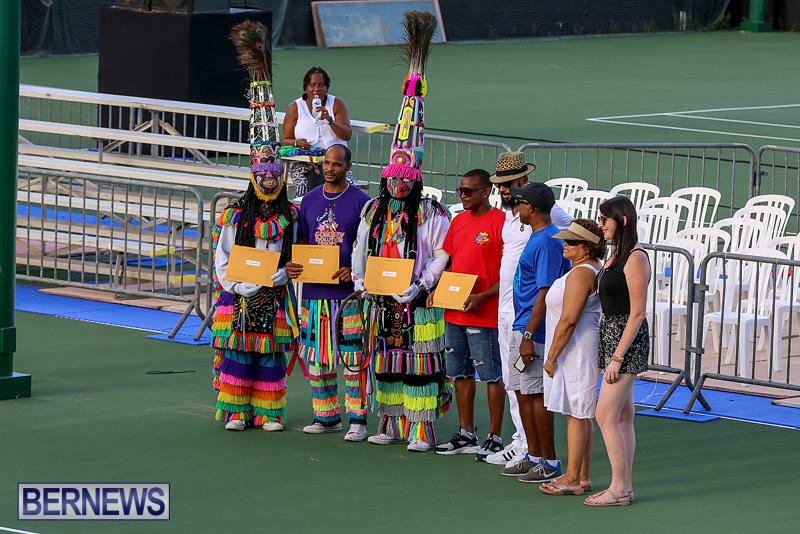 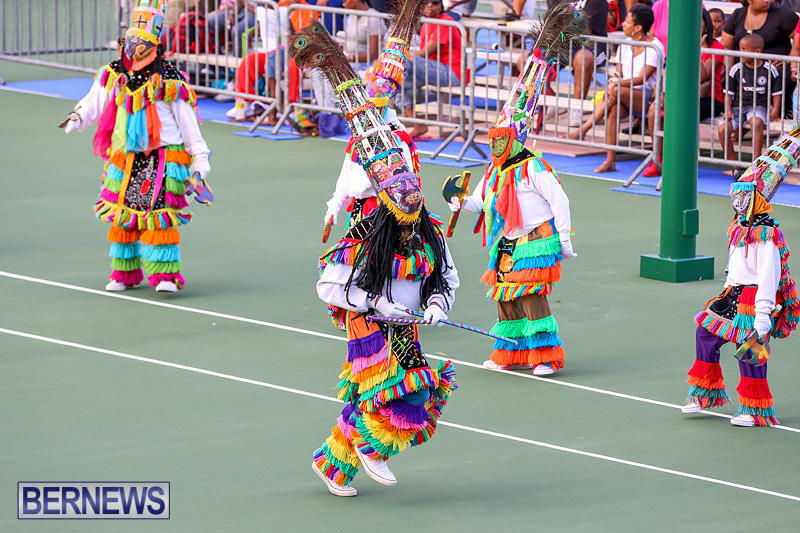 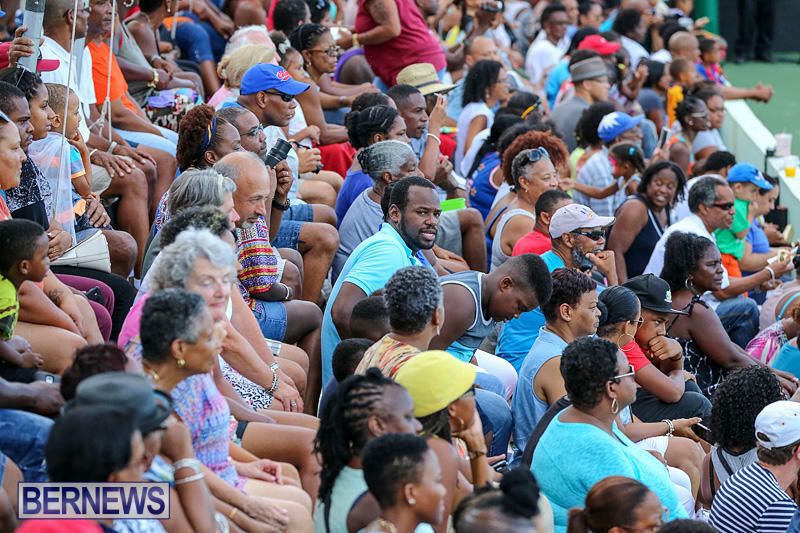 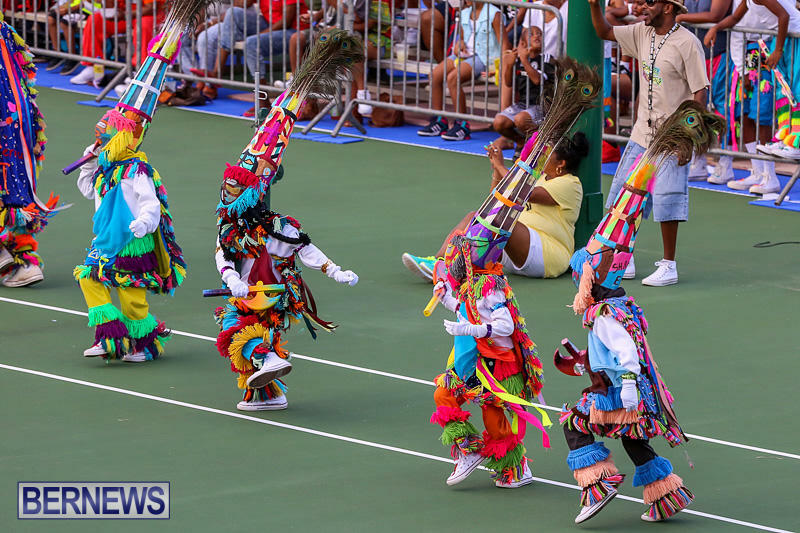 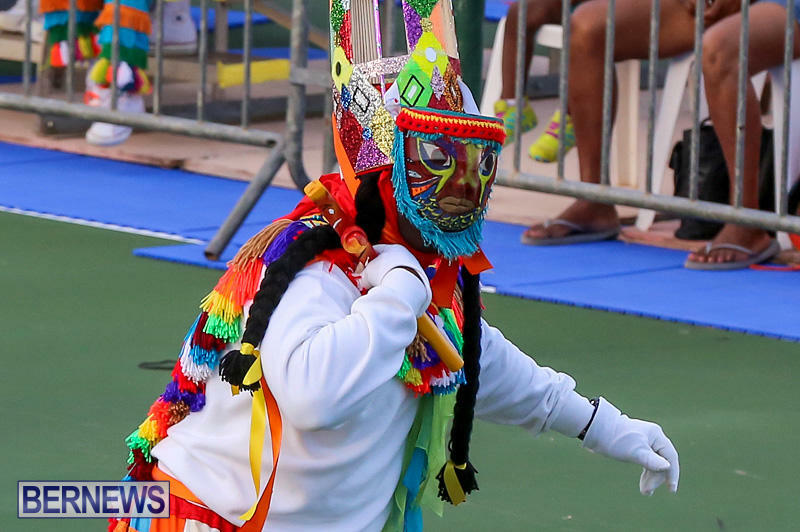 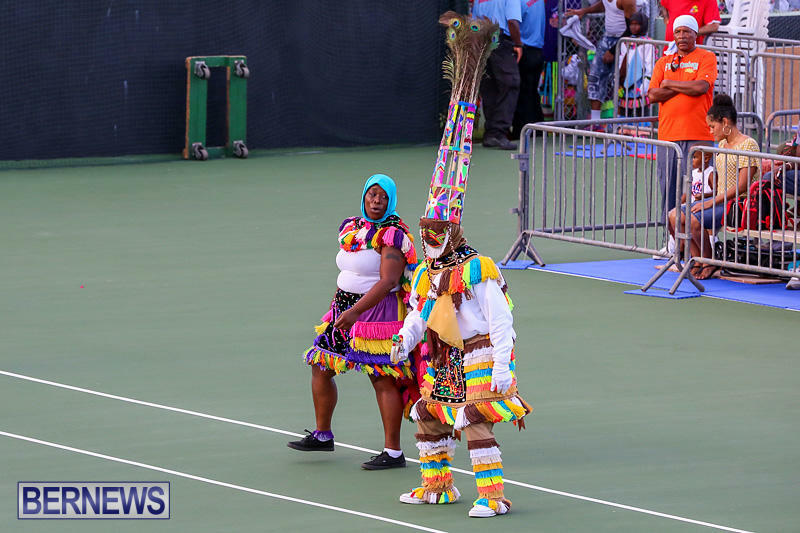 The Minister of Social Development and Sports Zane DeSilva said, “I want to encourage the public to come out and enjoy this dazzling, energetic, cultural display. 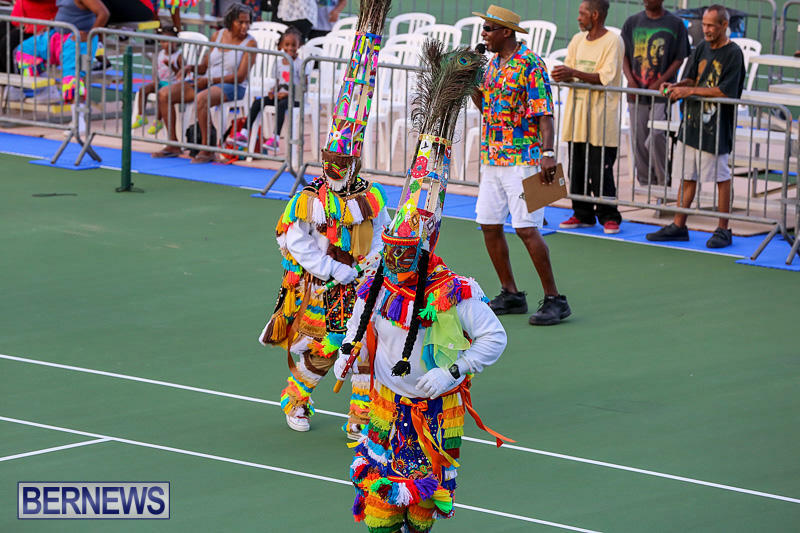 To have so many of the troupes gather together in celebration of our proud heritage is an opportunity not to be missed. 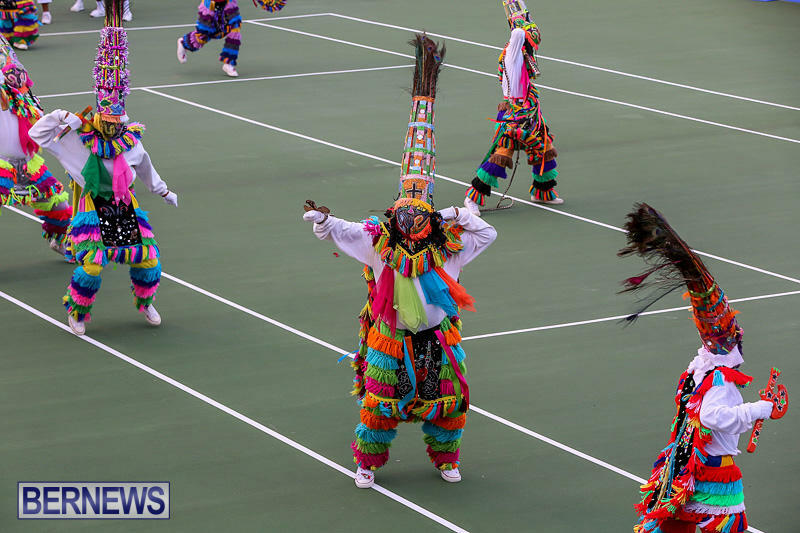 The Department said, “The Gombey Festival is held annually to provide continued exposure to the folk art traditions of this important cultural heritage. 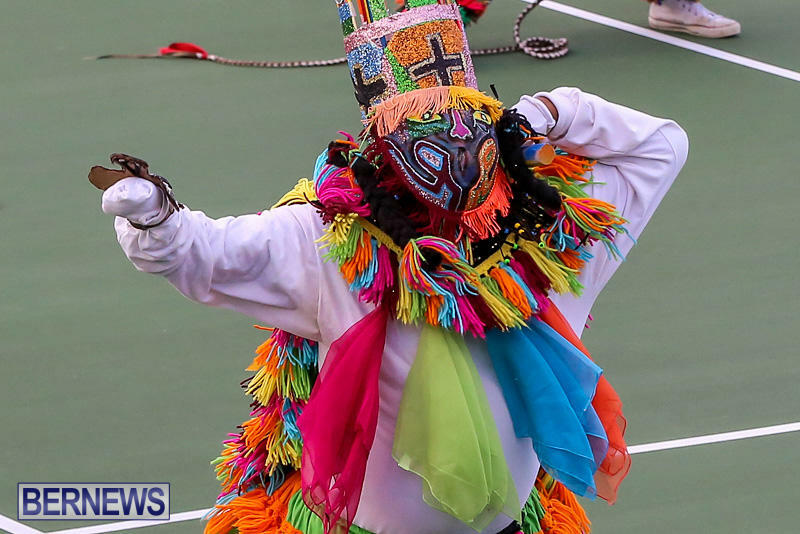 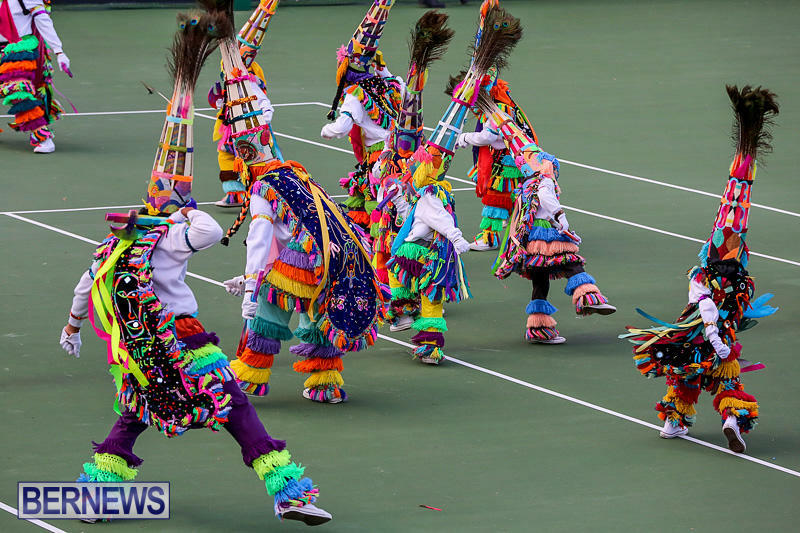 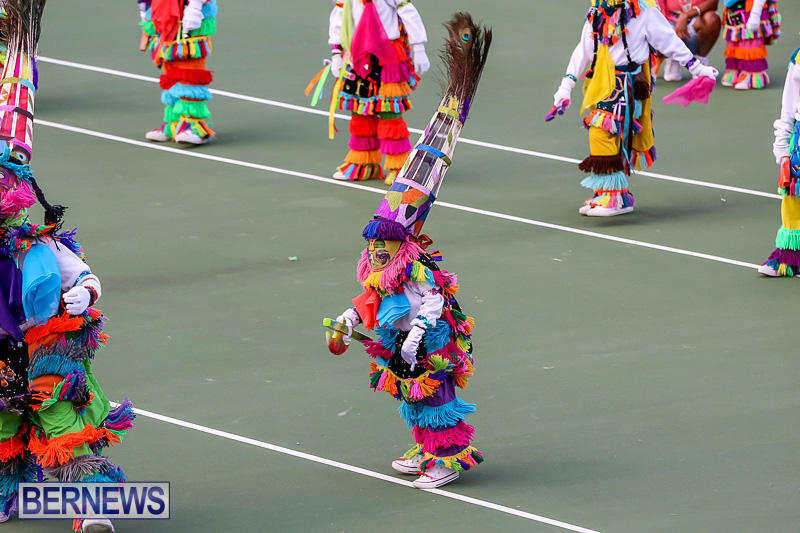 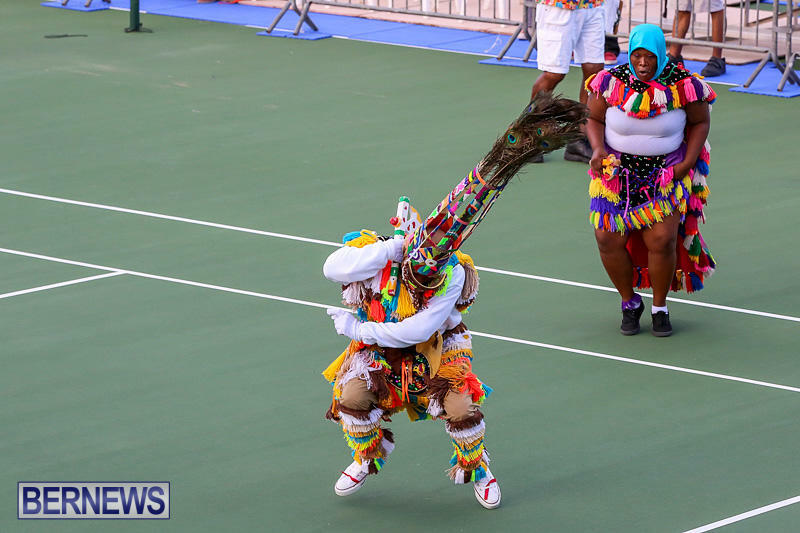 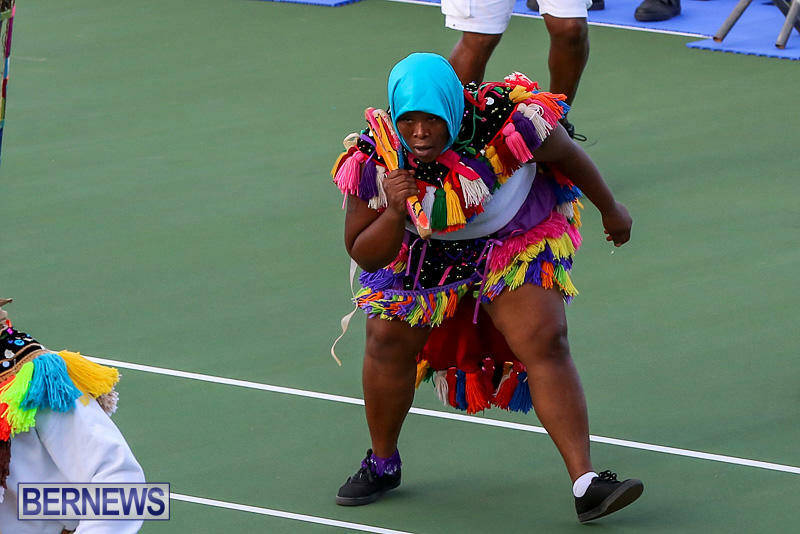 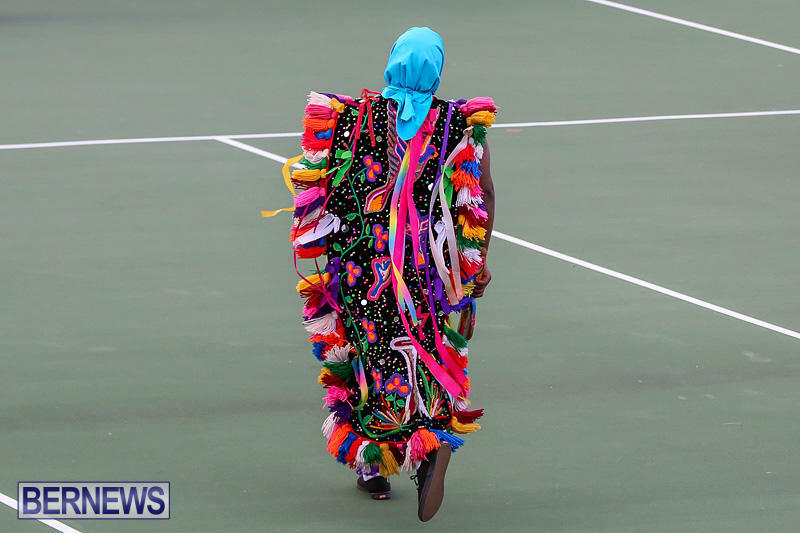 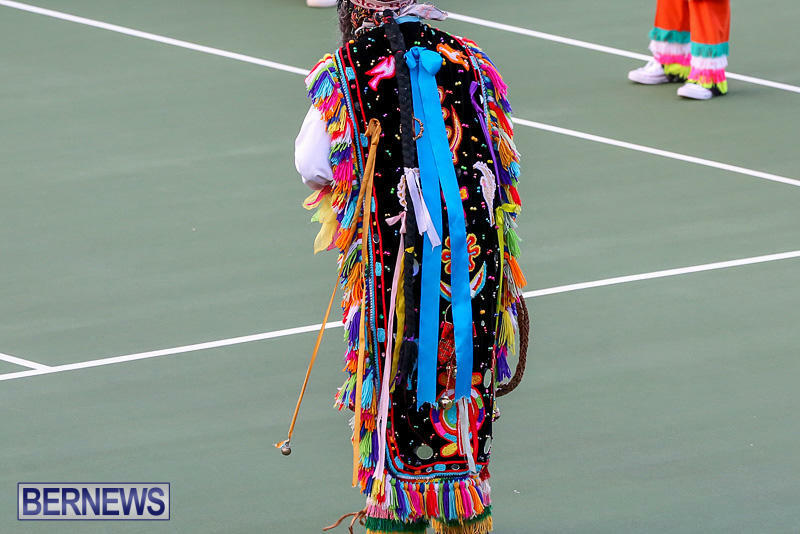 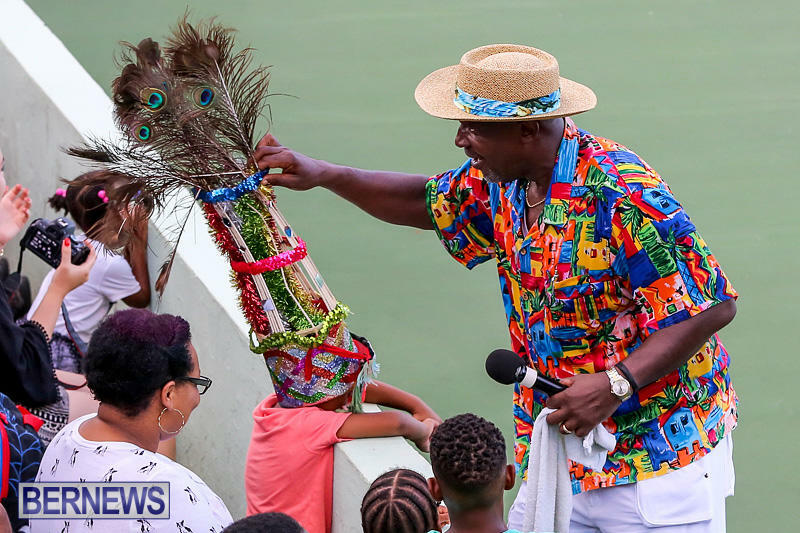 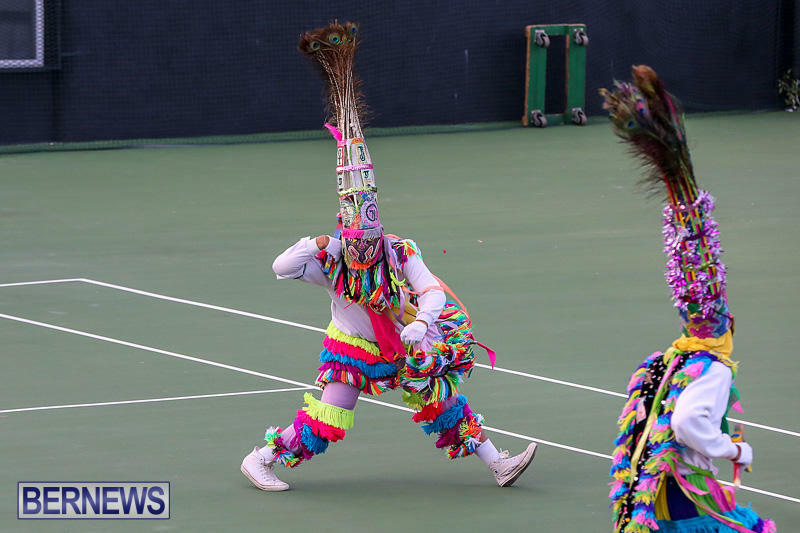 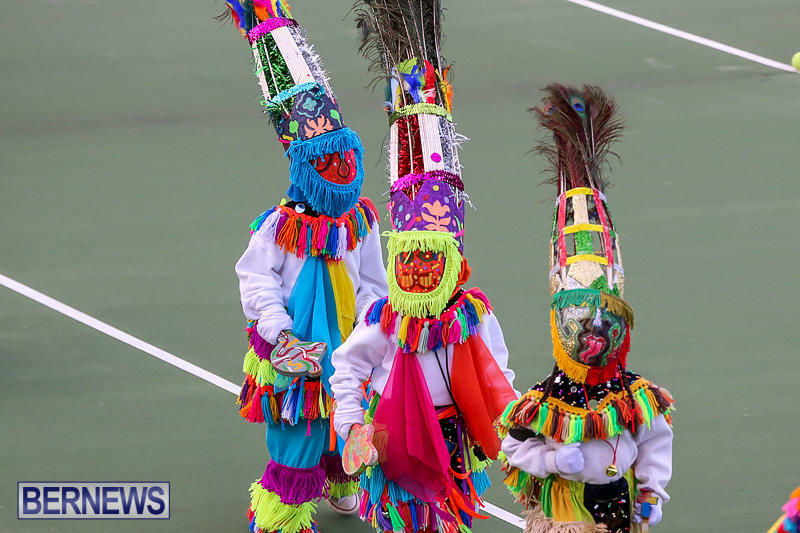 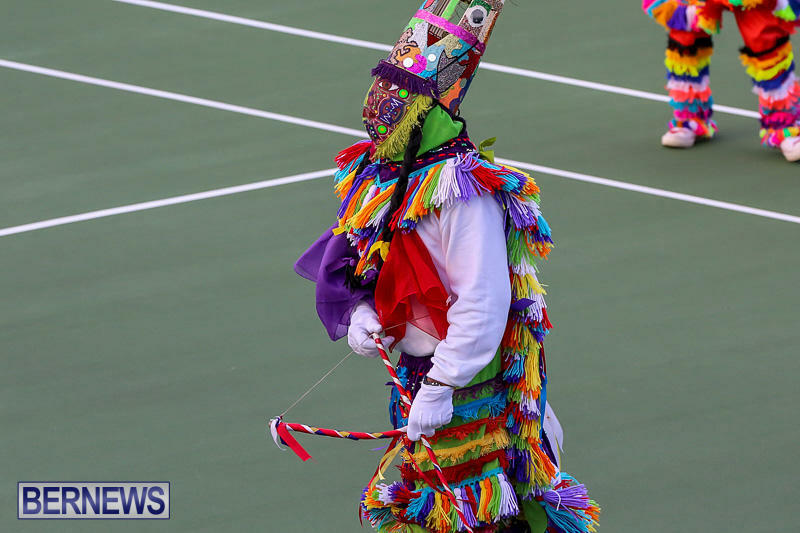 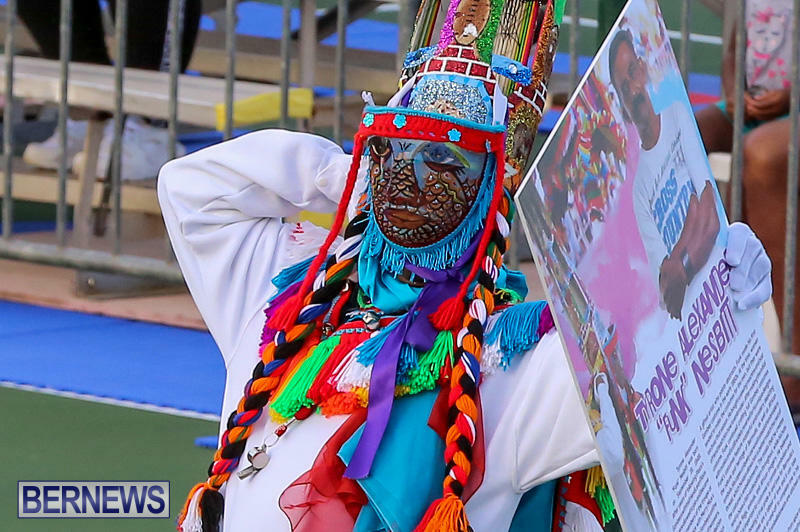 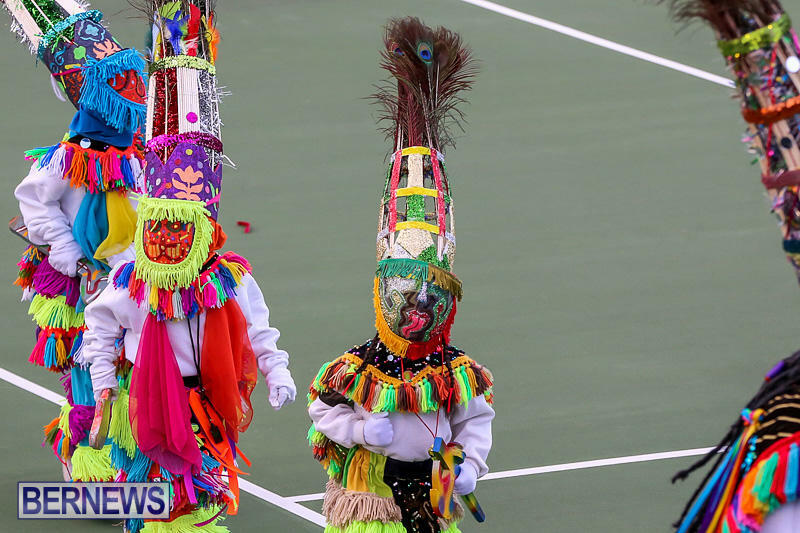 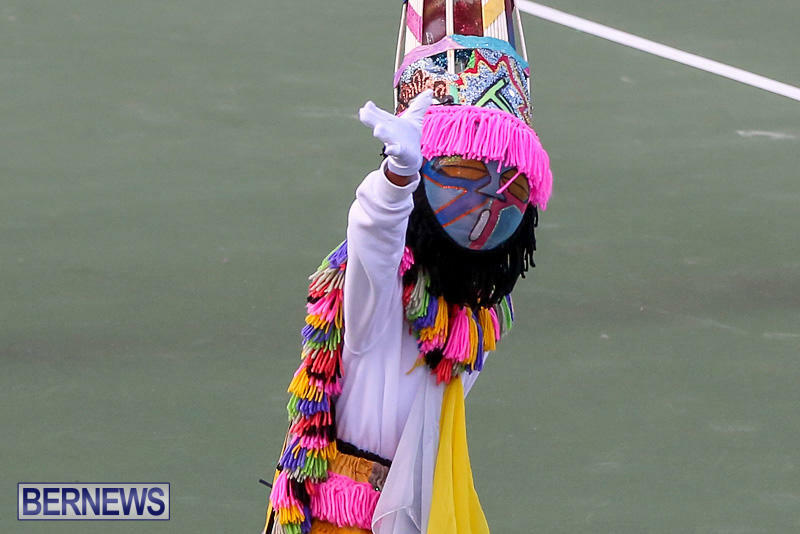 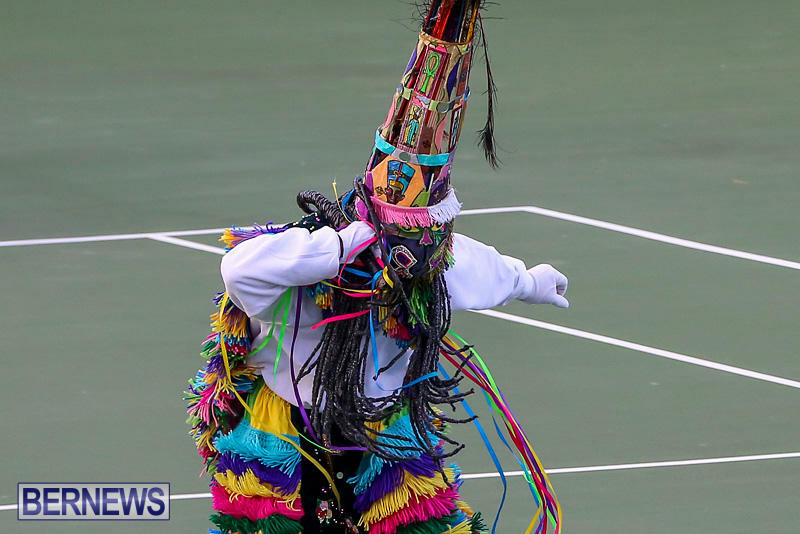 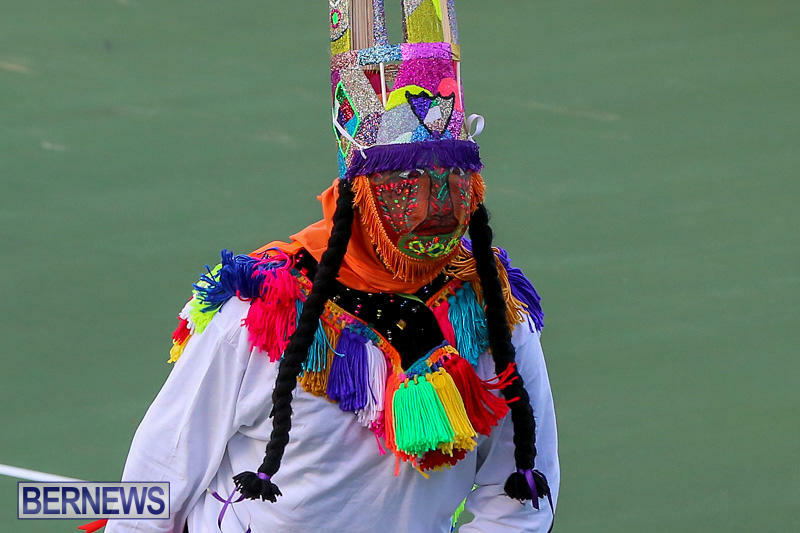 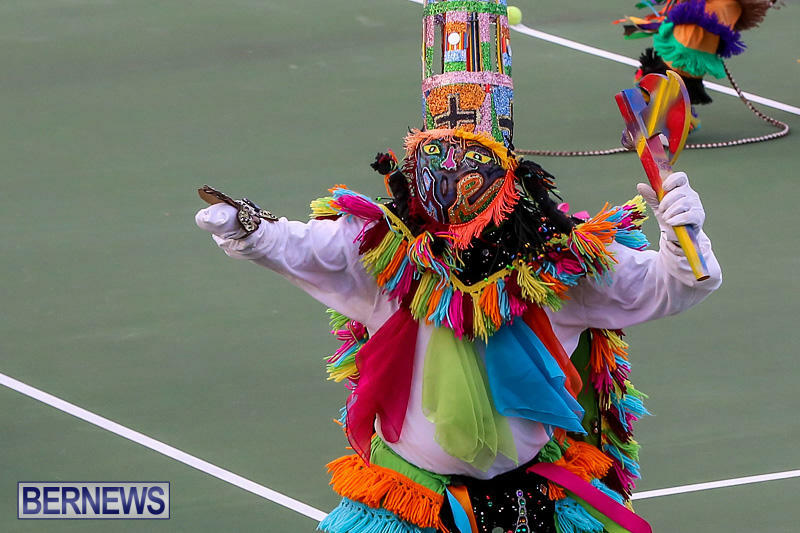 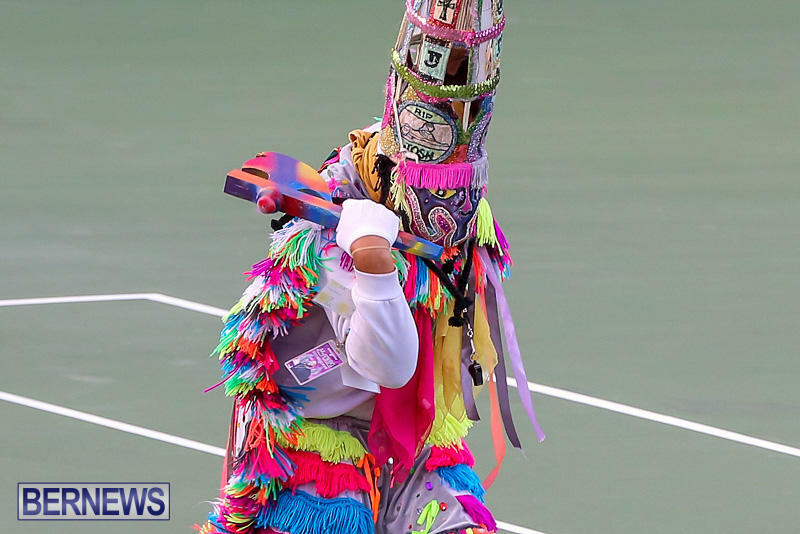 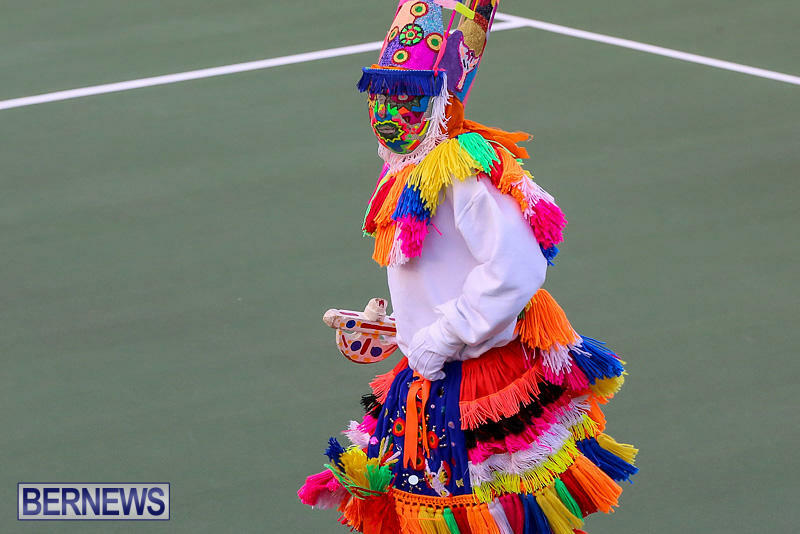 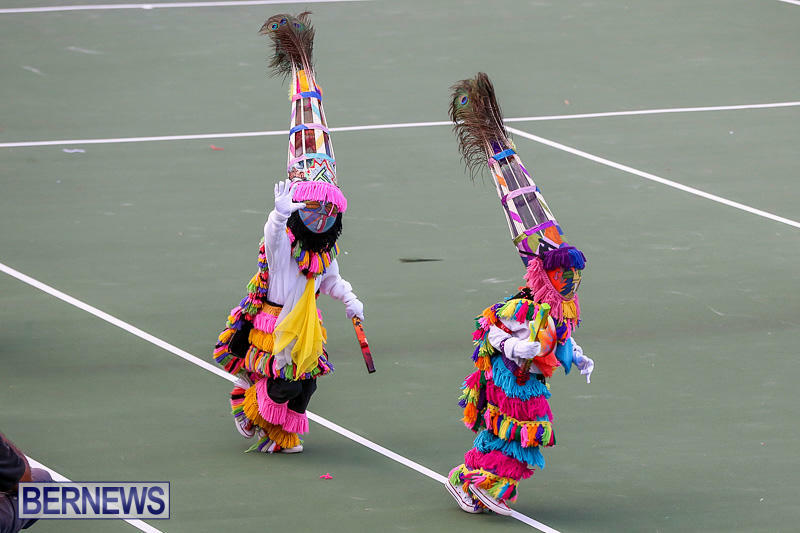 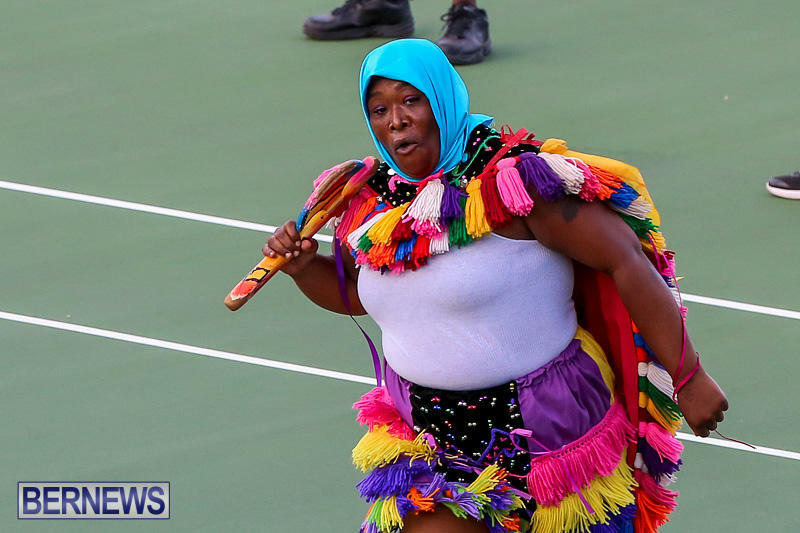 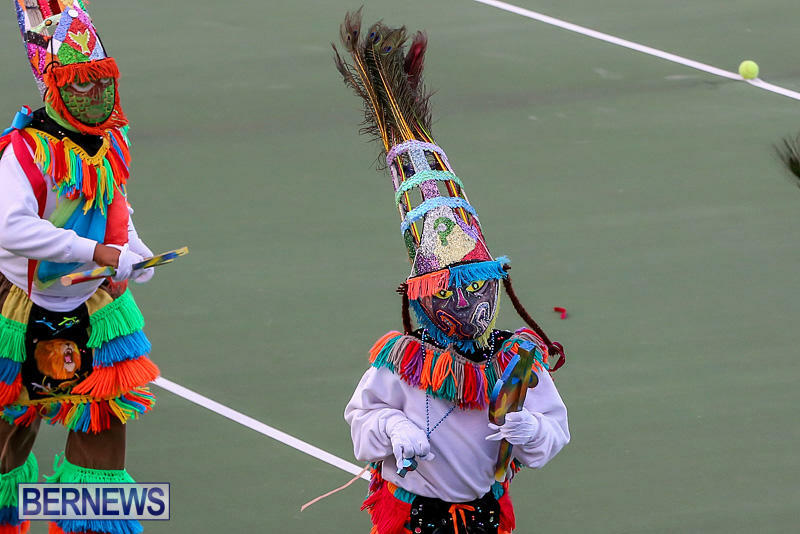 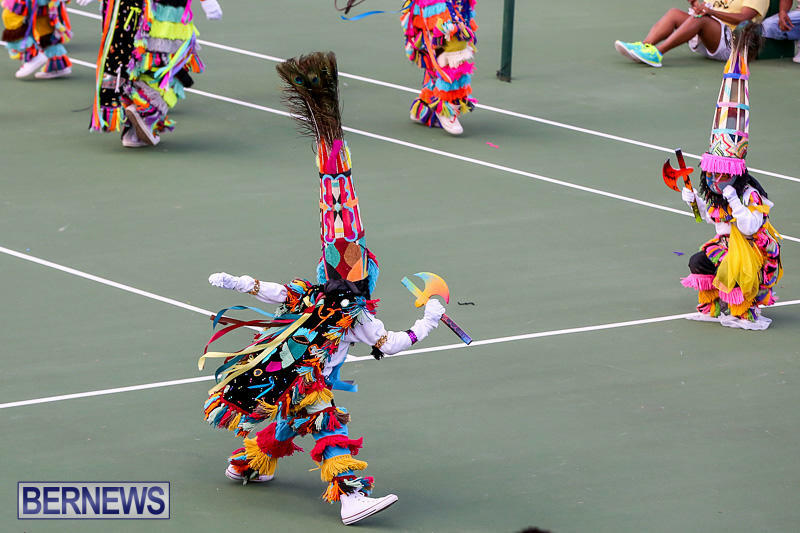 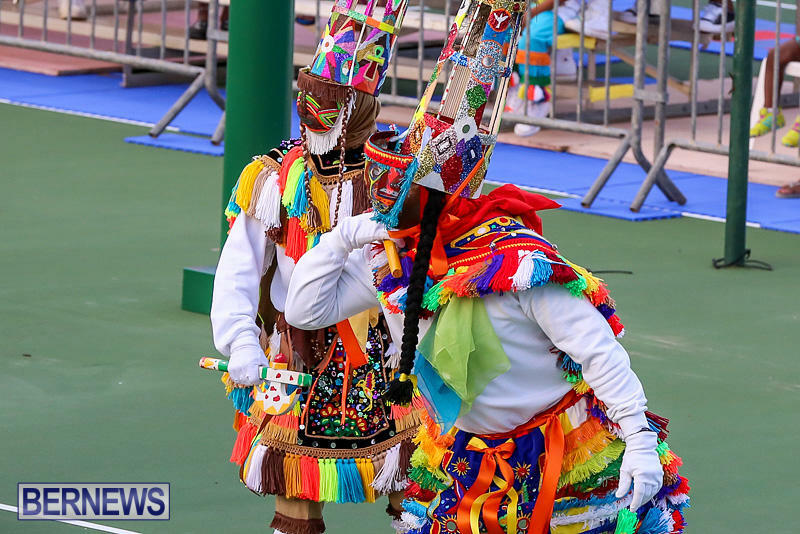 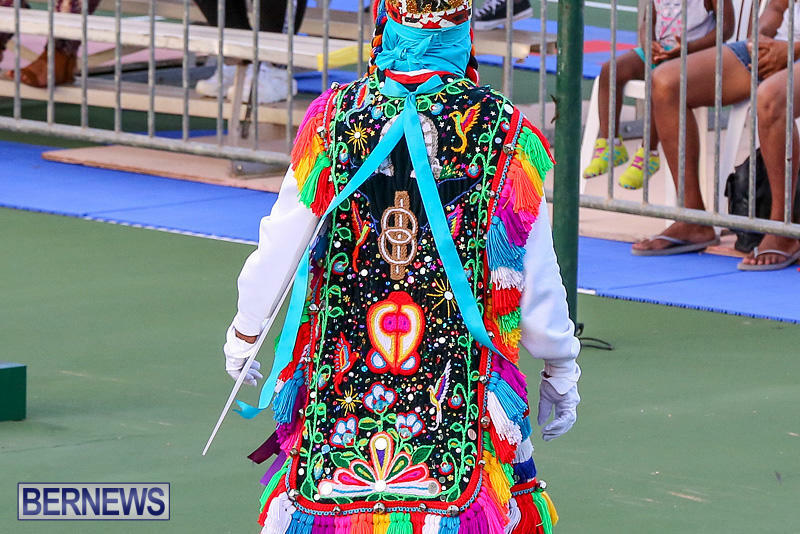 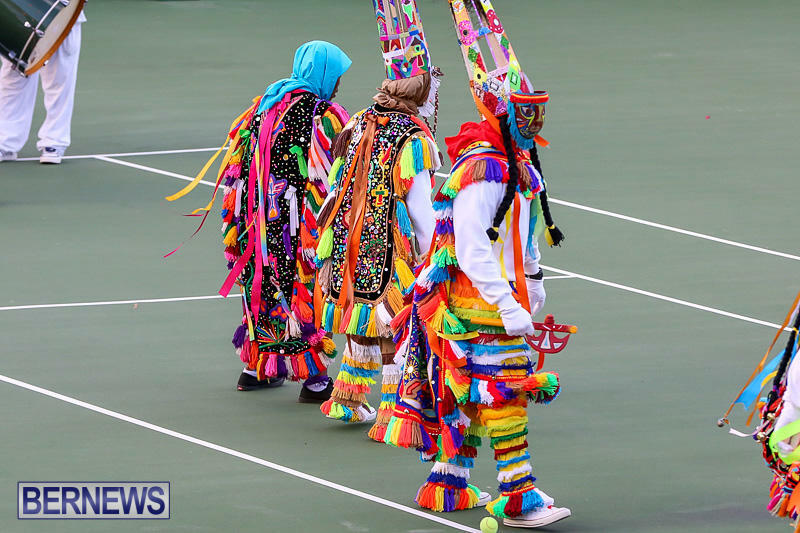 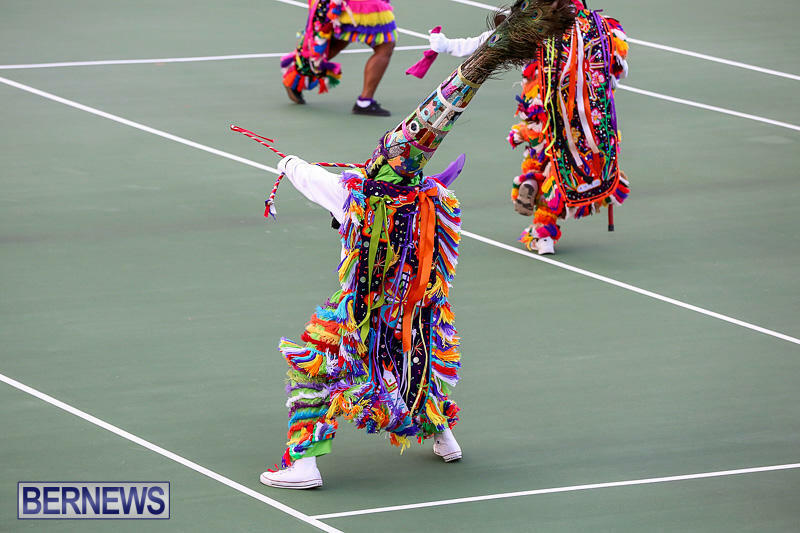 The Gombey is an iconic symbol of Bermuda, reflecting the island’s blend of African, indigenous peoples, Caribbean and British cultures, incorporating them over time into a unique performance art, full of colourful and intricate masquerade, dance and drumming. 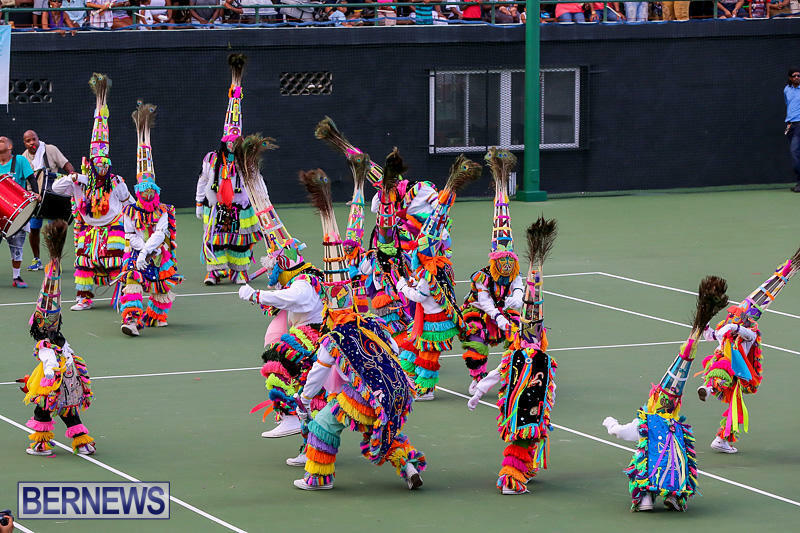 “The traditions have been passed down orally from one generation to the next within families and the Captains of each troupe determine the direction of the troupe and style that is taught. 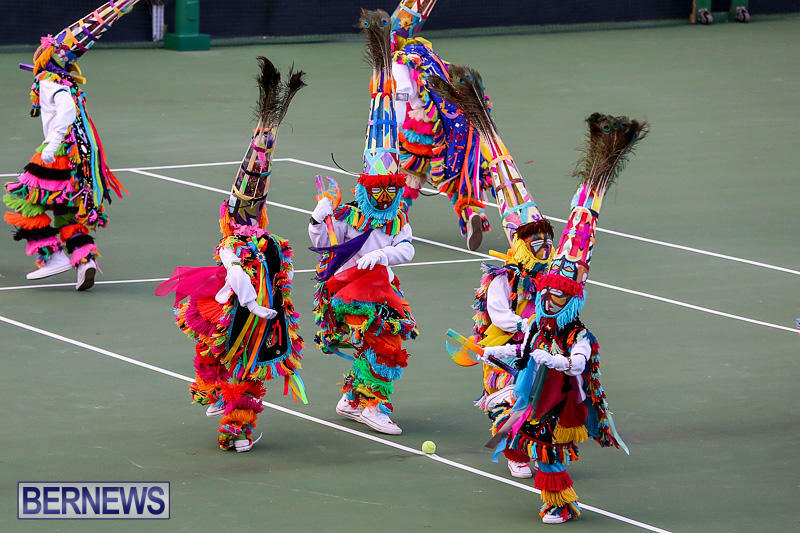 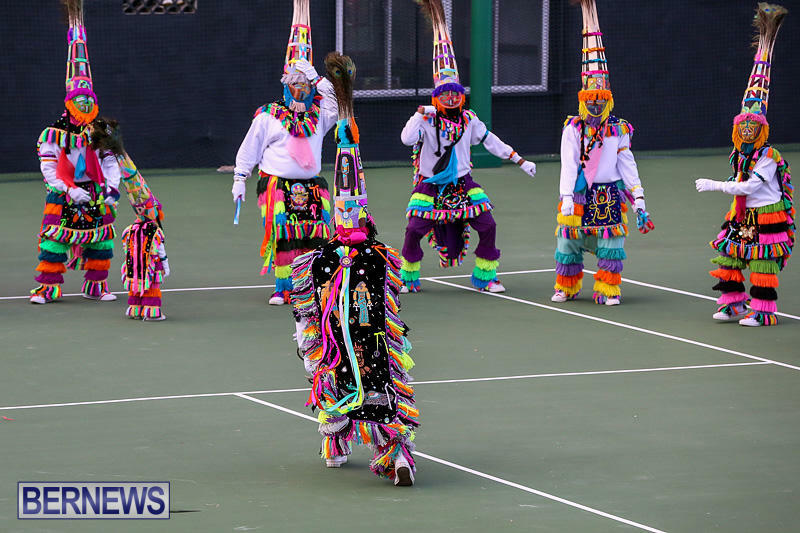 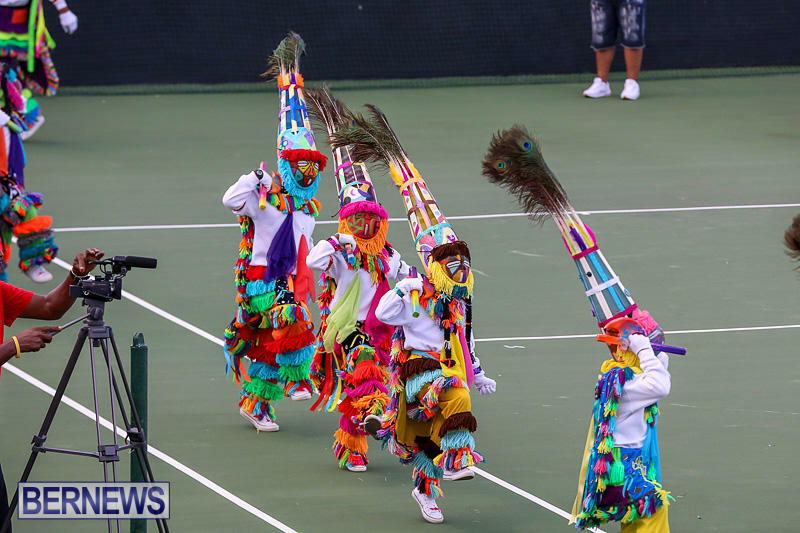 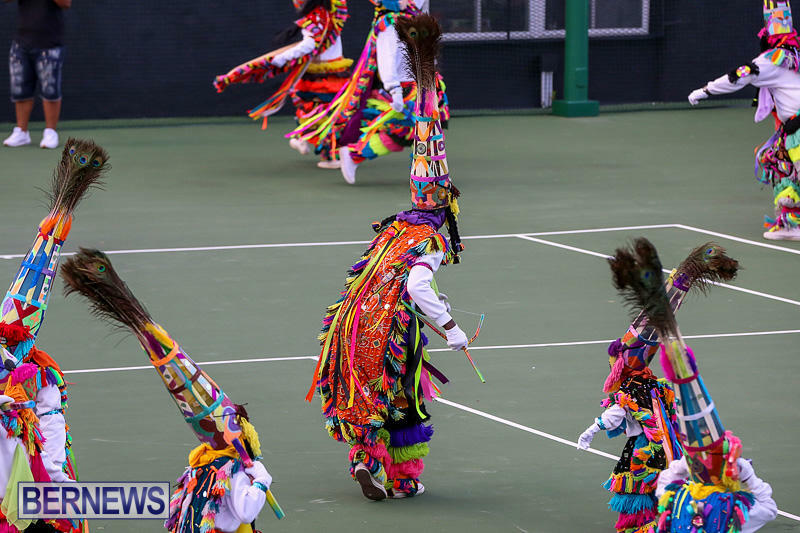 “Thus within troupes there can be found subtle but distinct differences in beats, dances, costumes, headdresses, by which they can each be recognised. 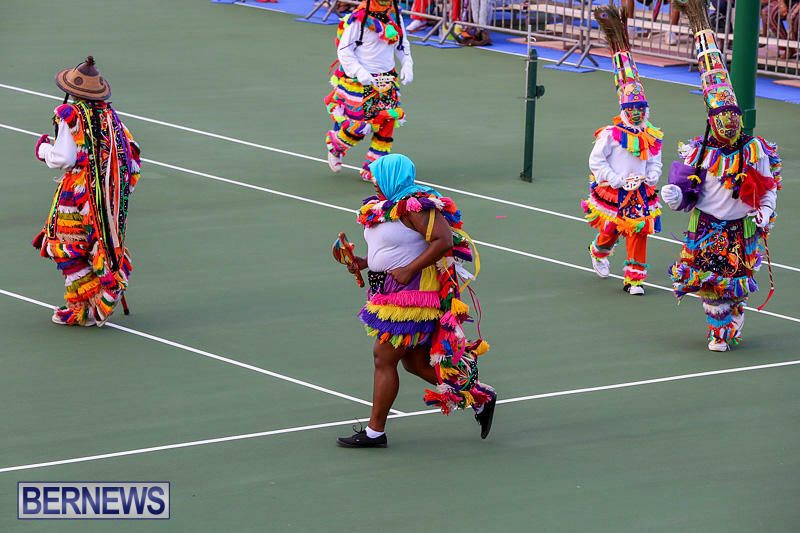 Freedom dance, junkanoo, cockfights, biblical stories, slow dance, fast dance, snake dance, and rushing back are all elements to watch for when observing a Gombey performance. 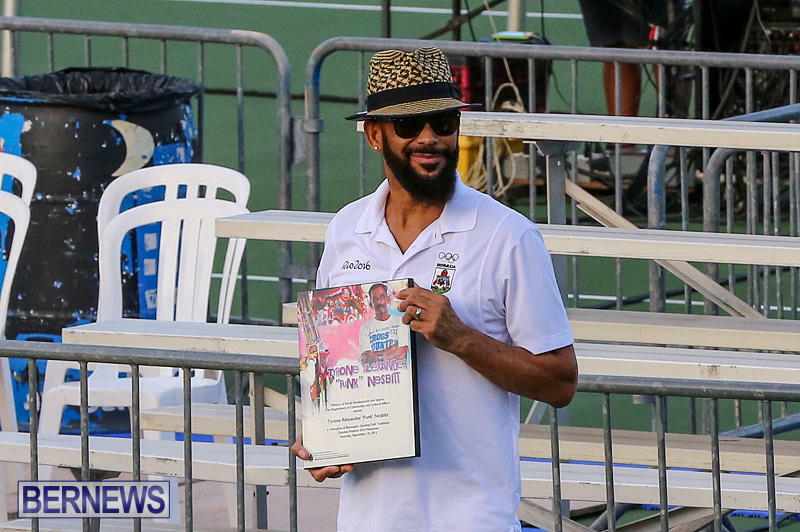 The individual being honored this year is the late Terry “Termite” Simmons. 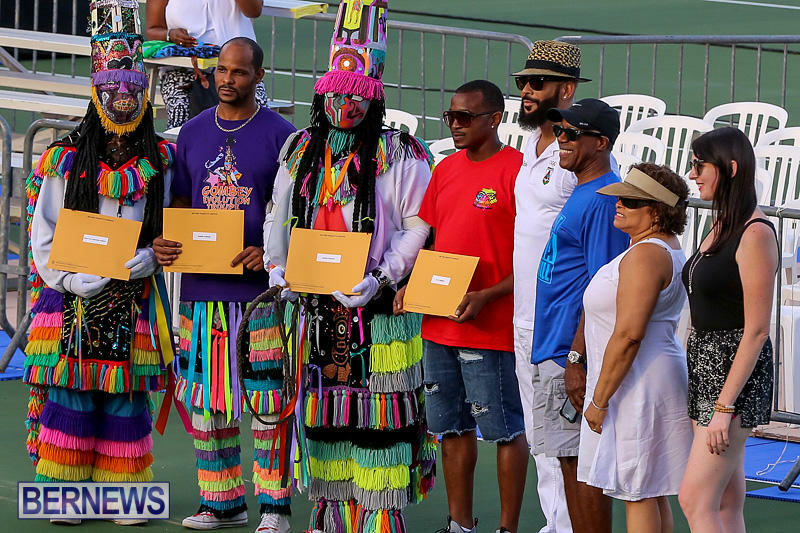 Cost: Complimentary, donations to Bermuda Society of Arts greatly appreciated. 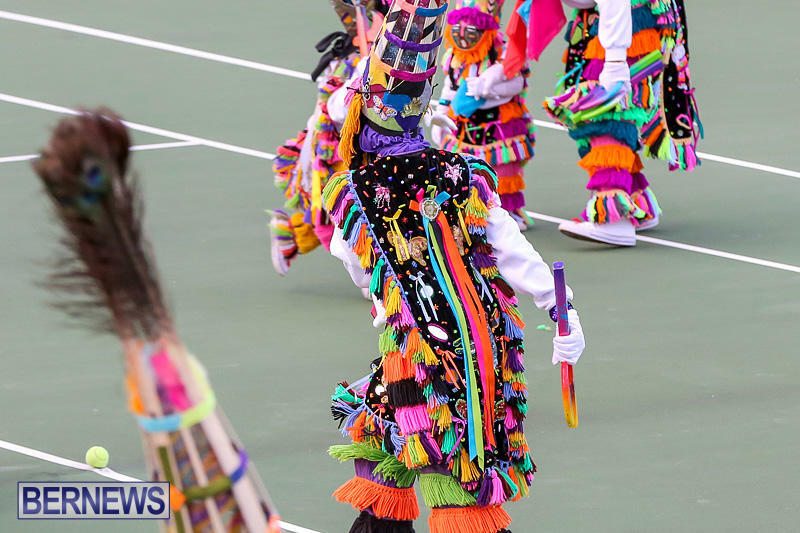 Details: Join us at Bermuda Society of Arts to view a collection of Gombey-inspired arts. 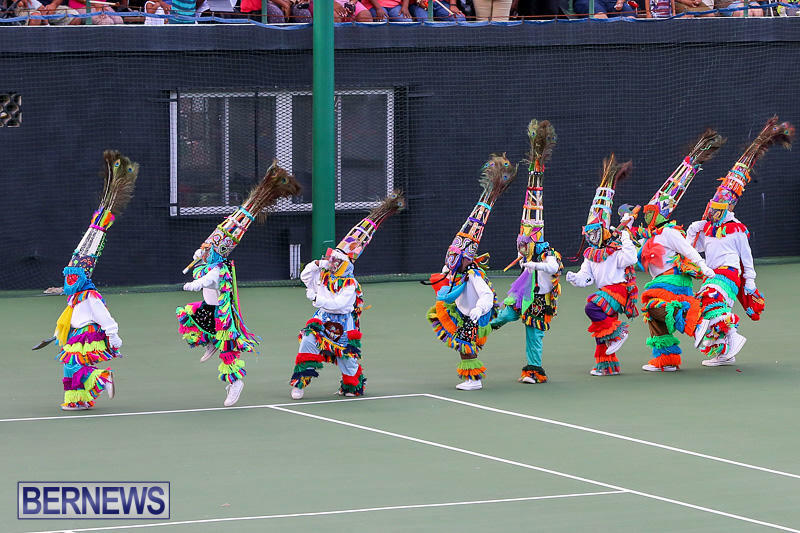 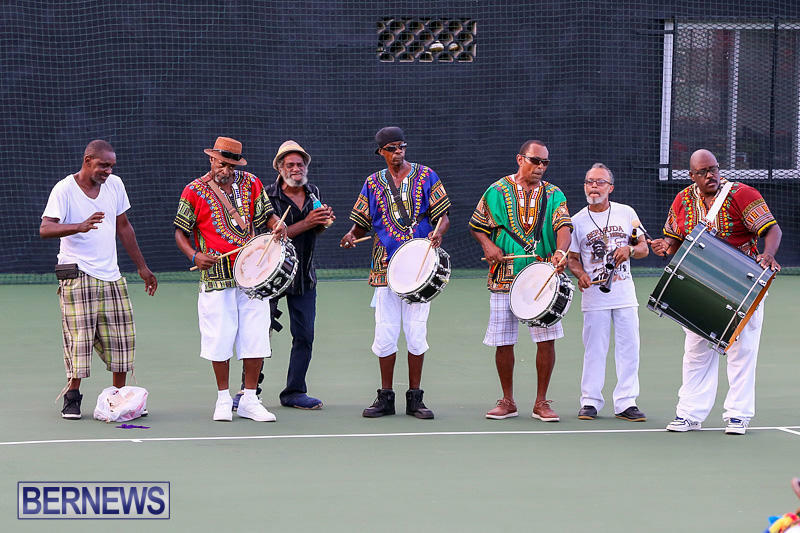 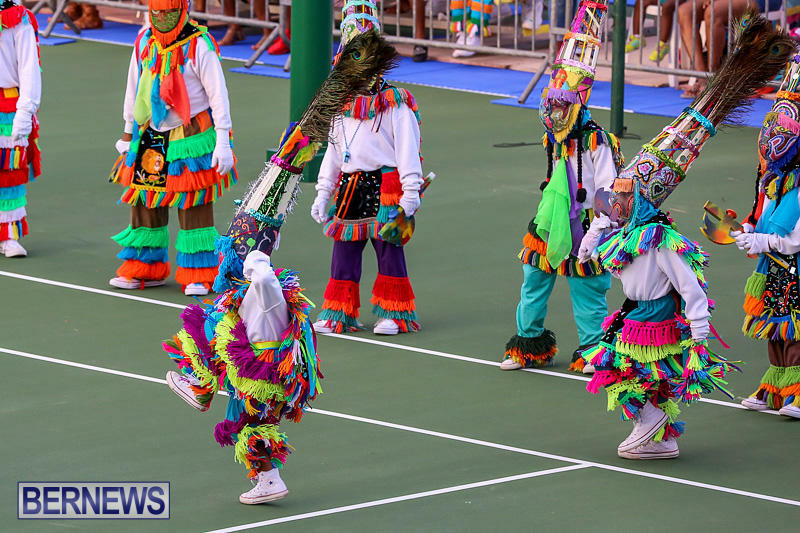 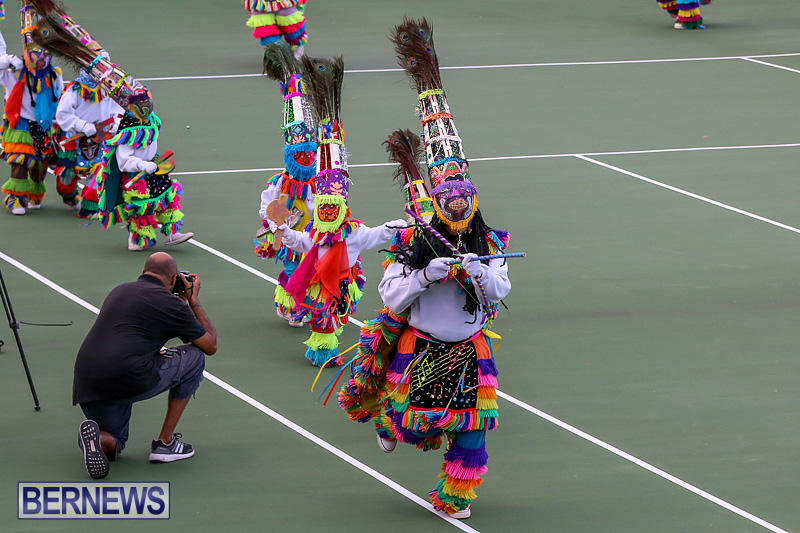 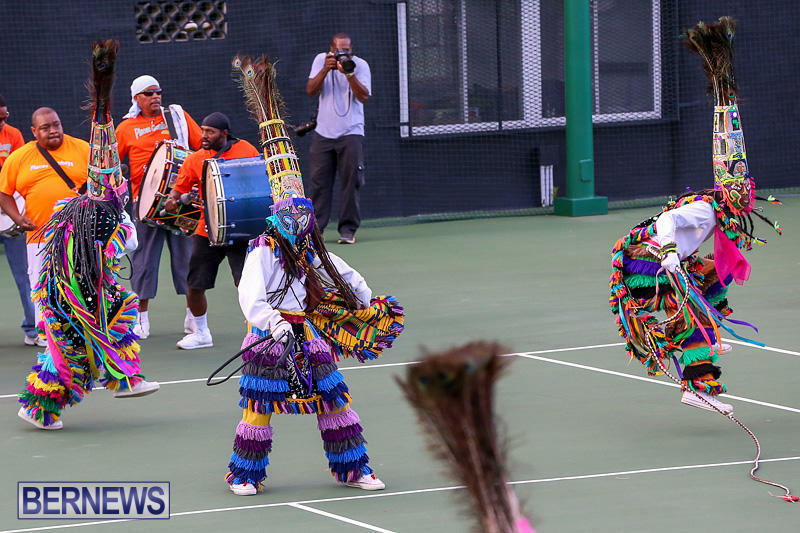 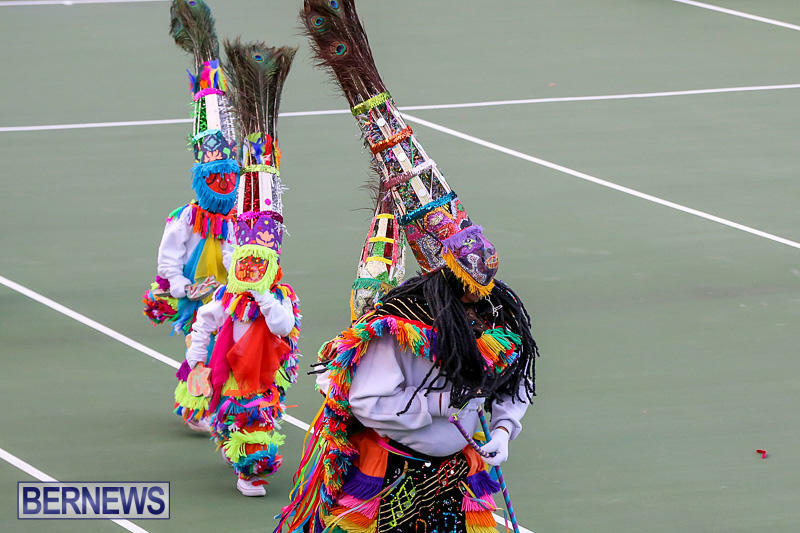 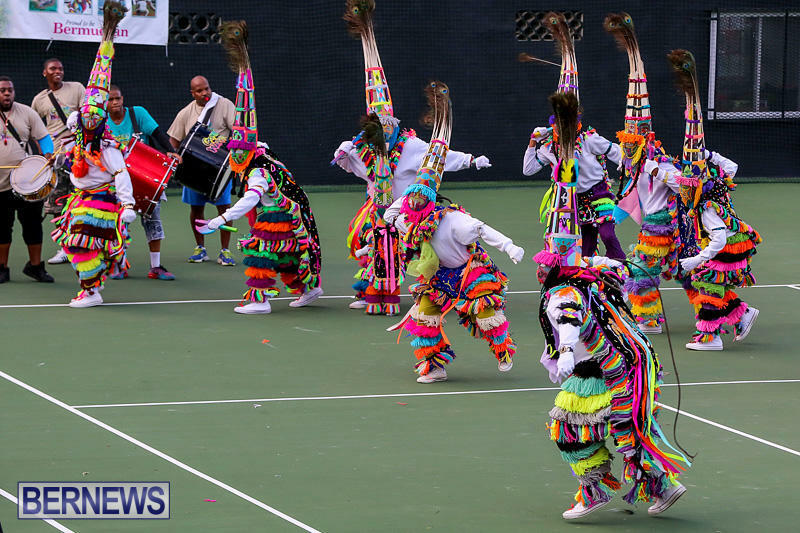 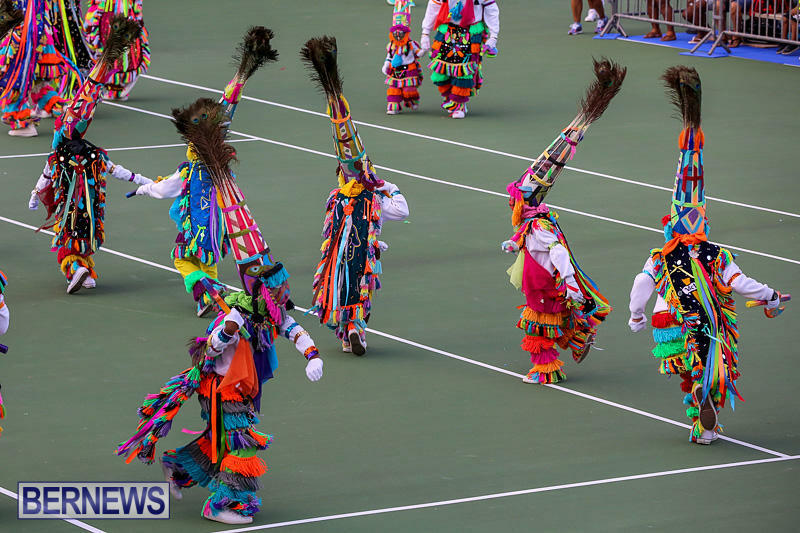 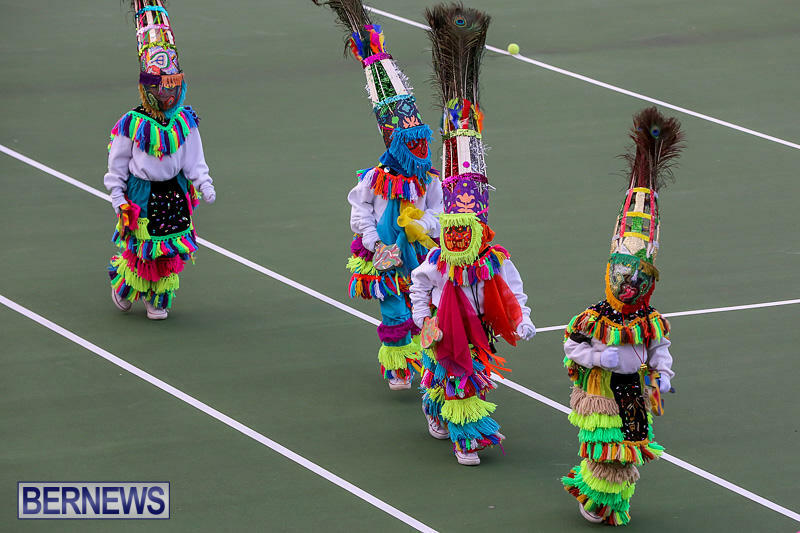 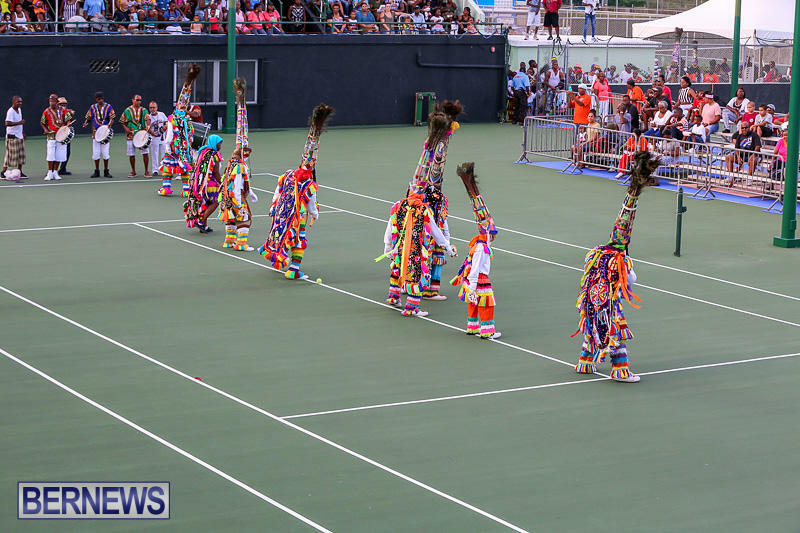 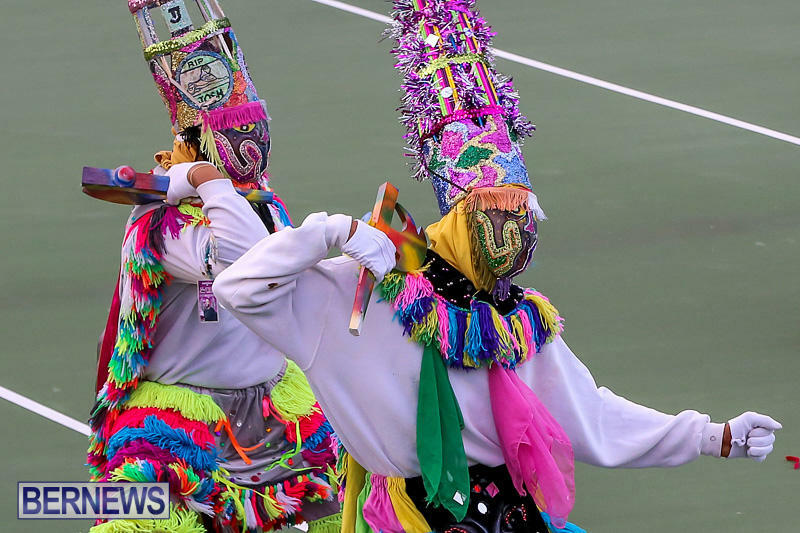 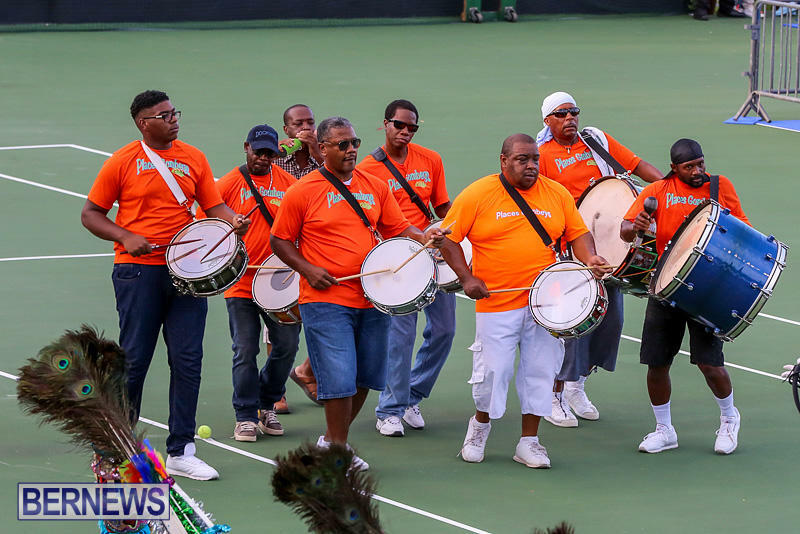 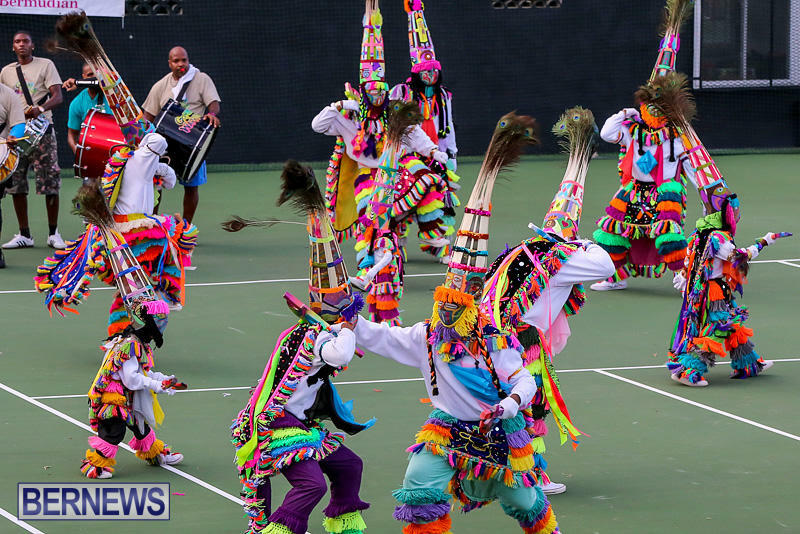 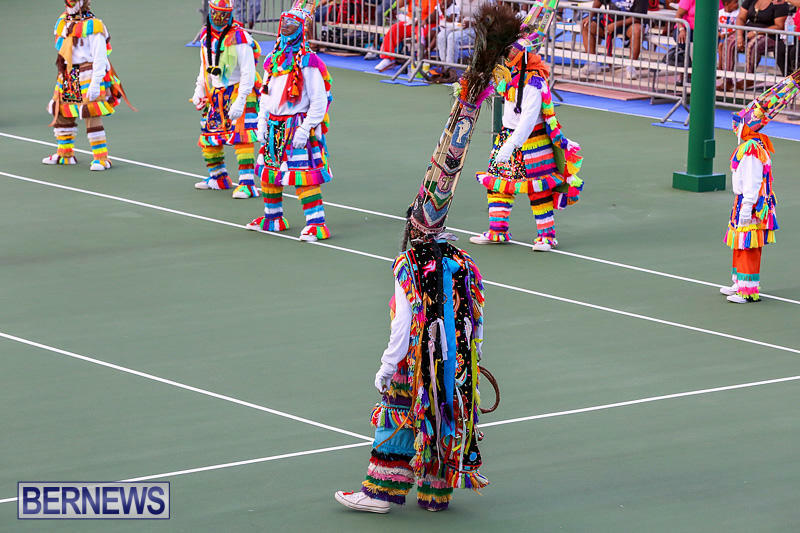 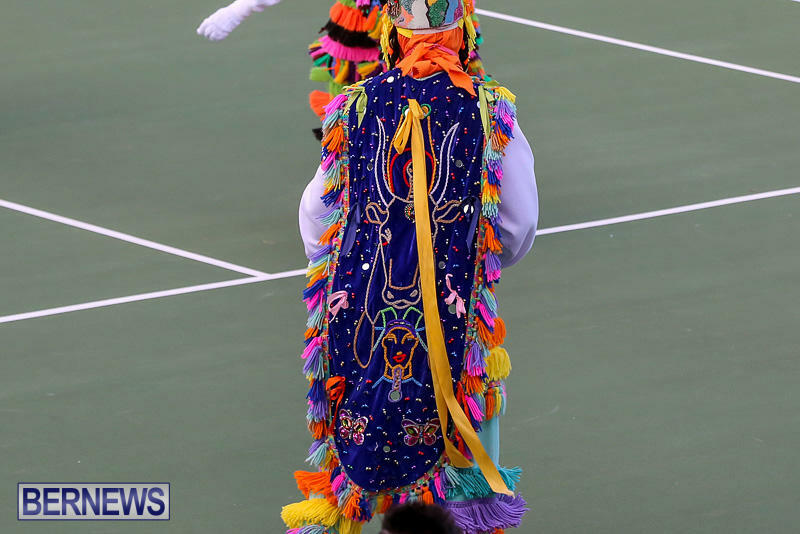 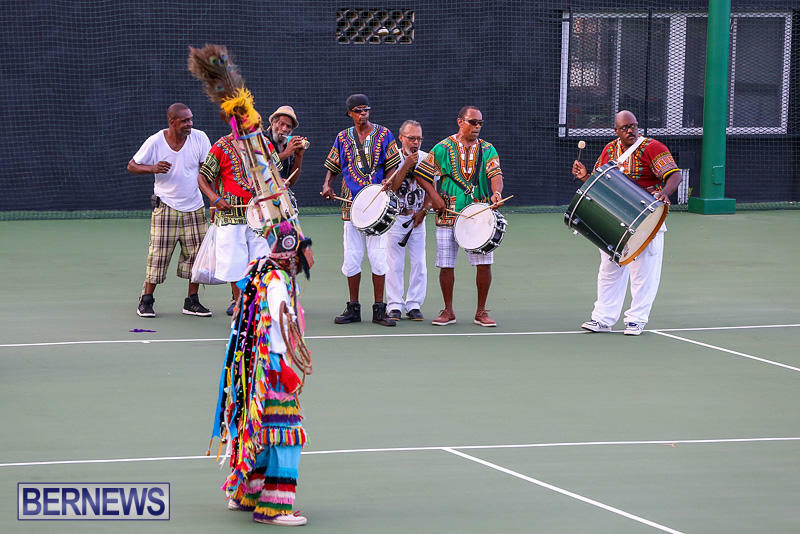 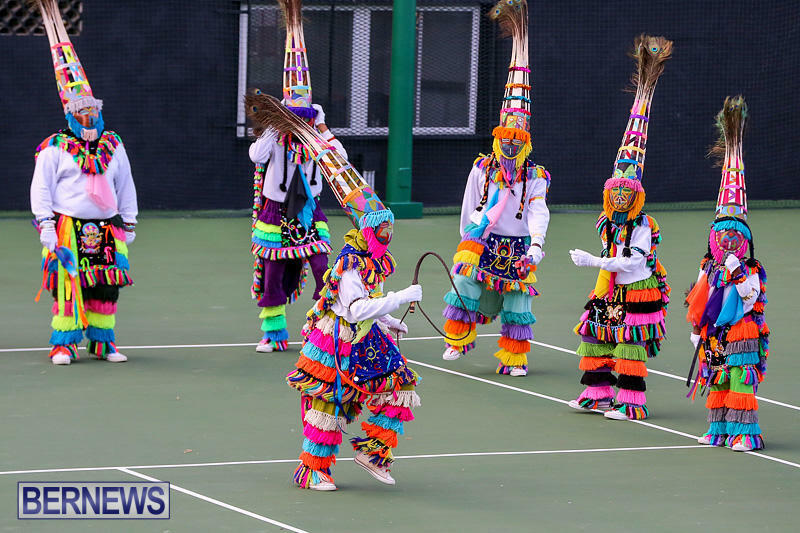 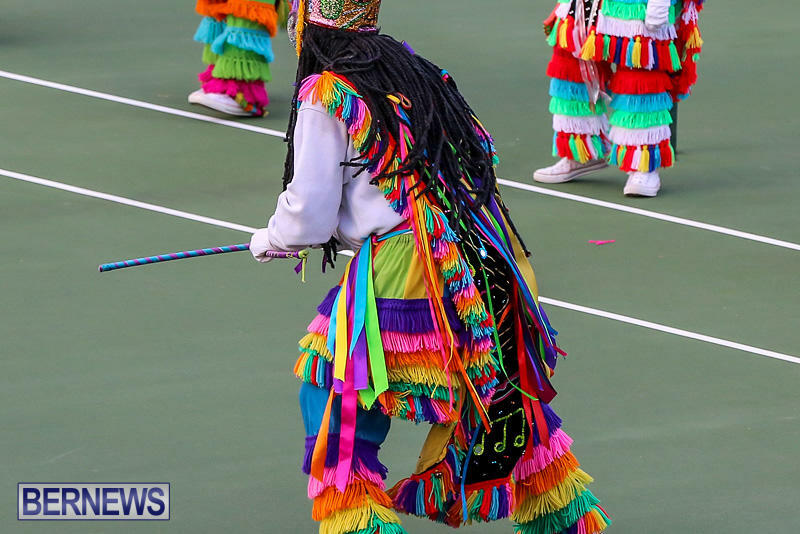 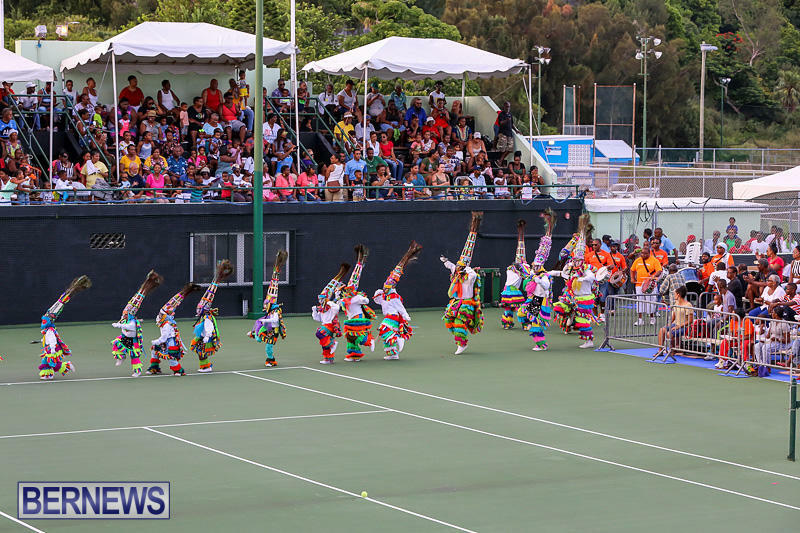 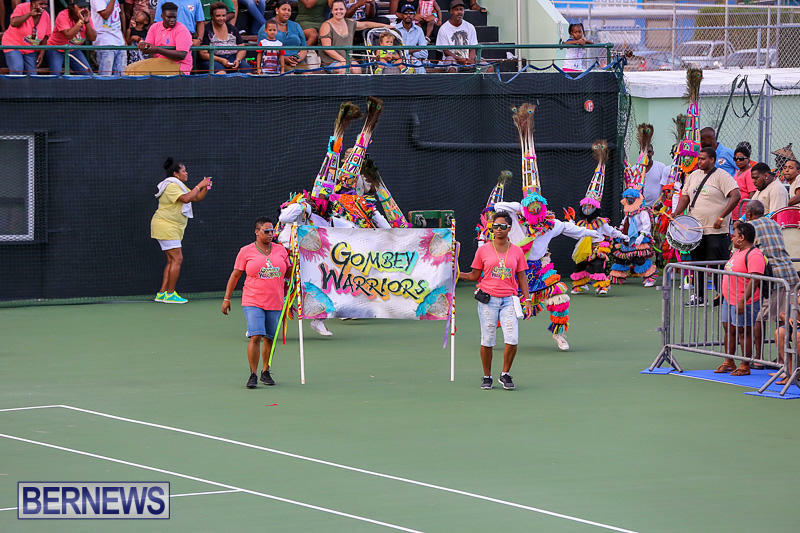 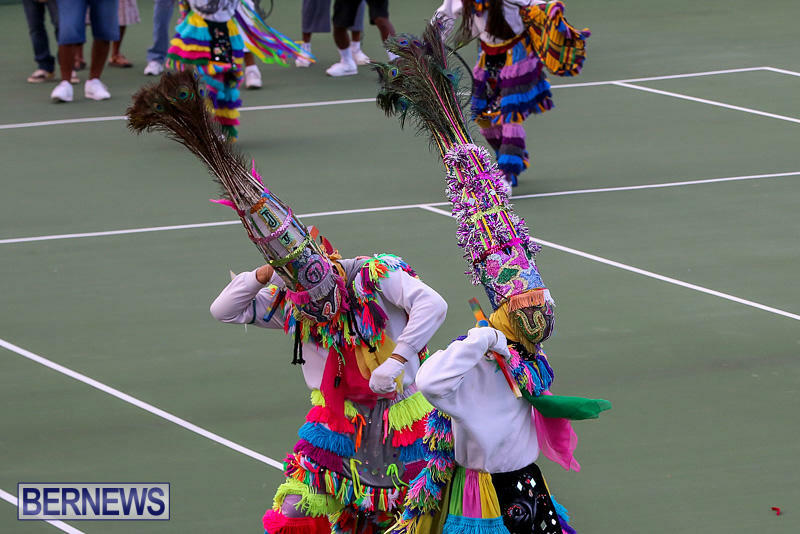 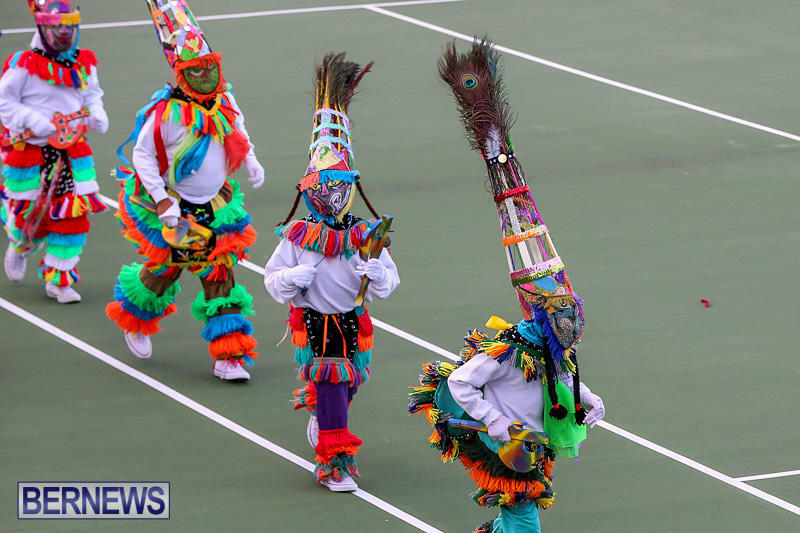 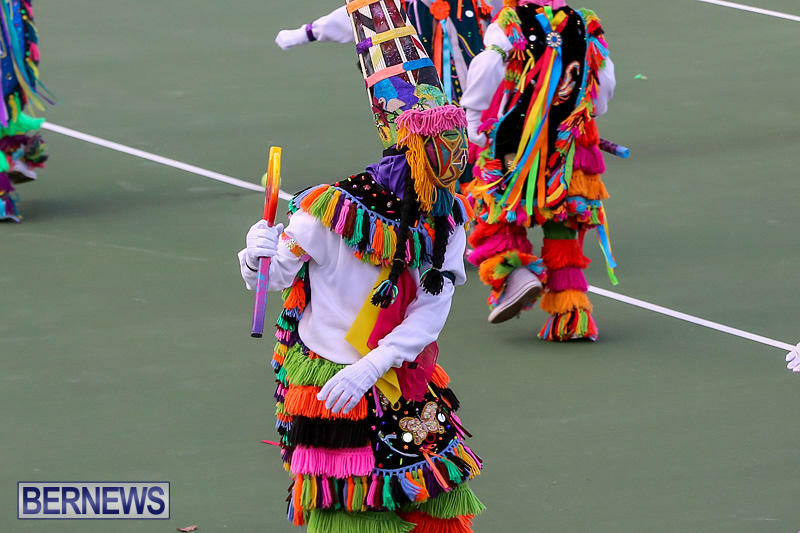 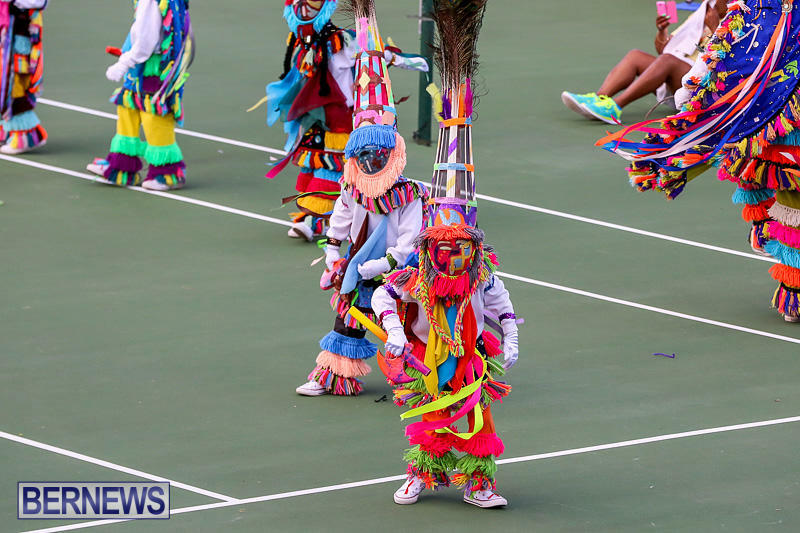 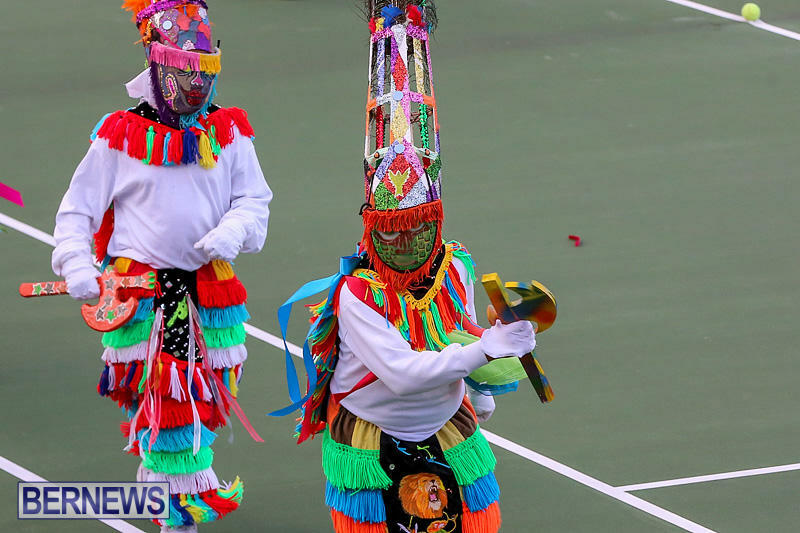 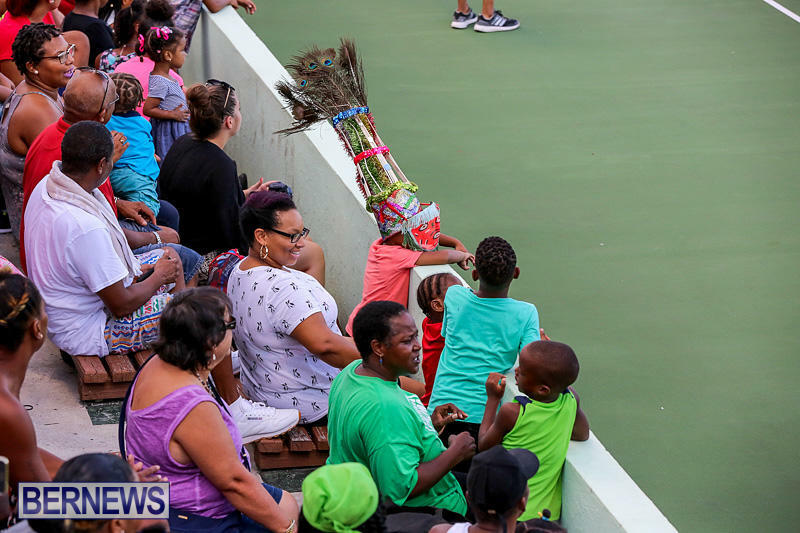 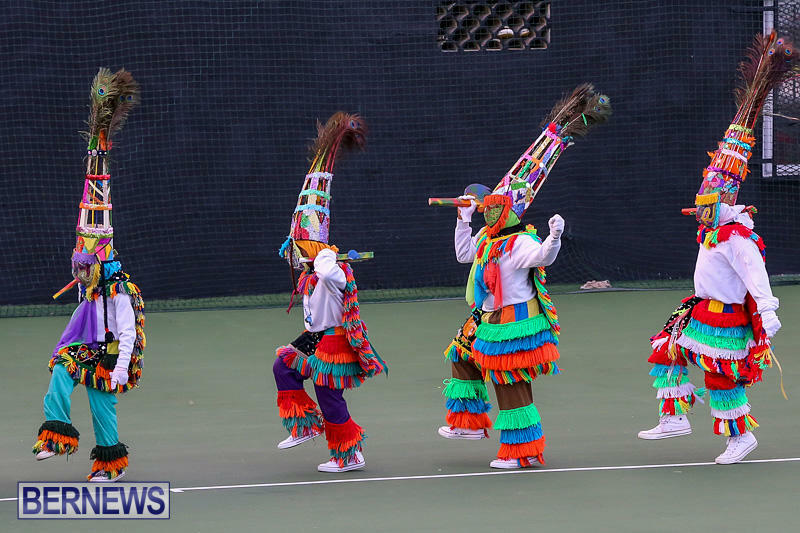 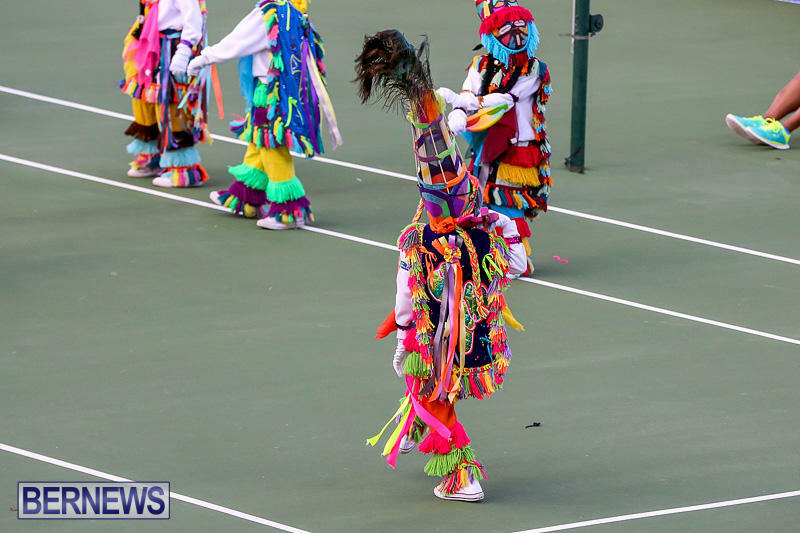 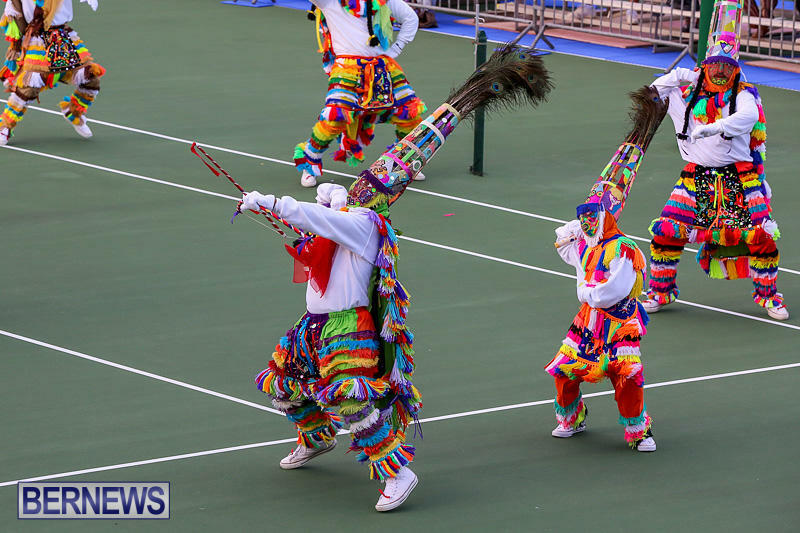 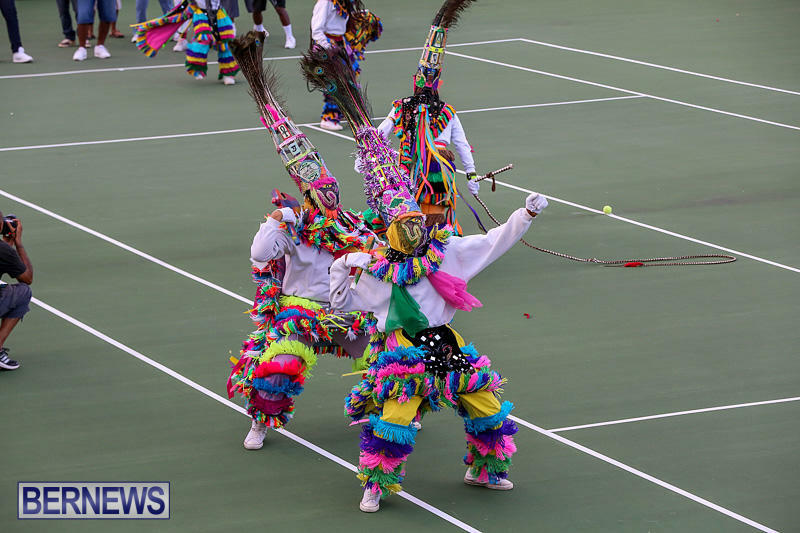 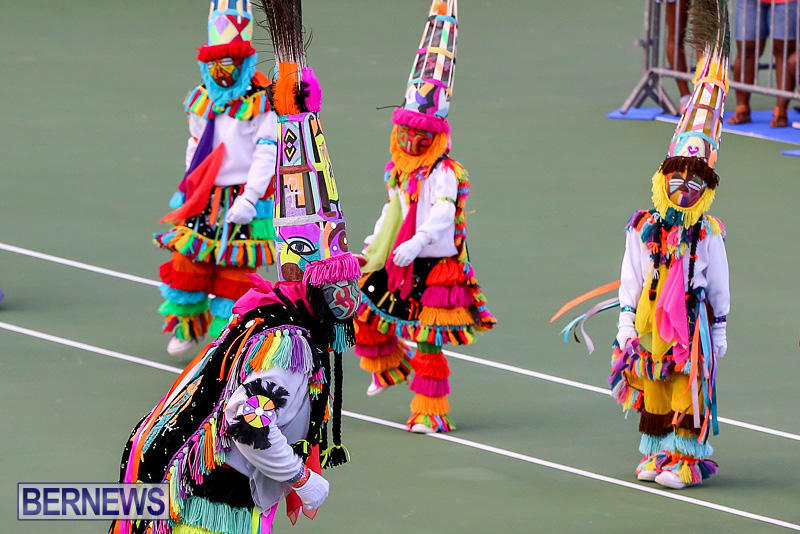 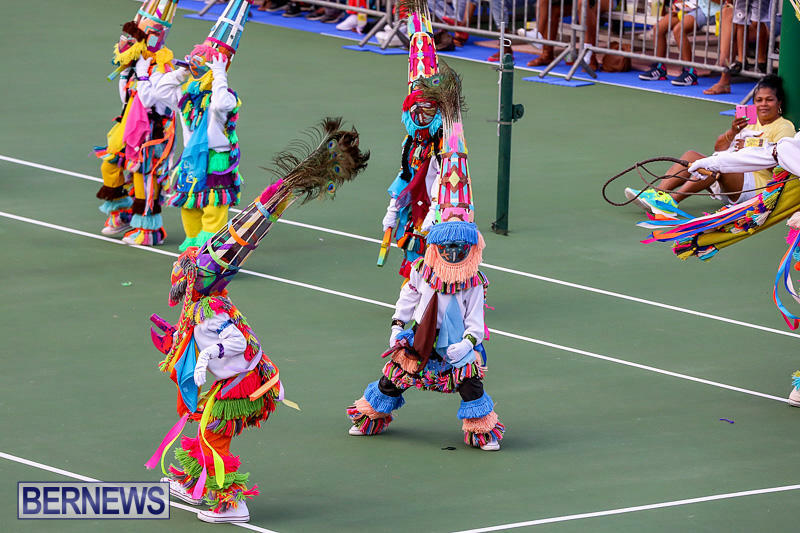 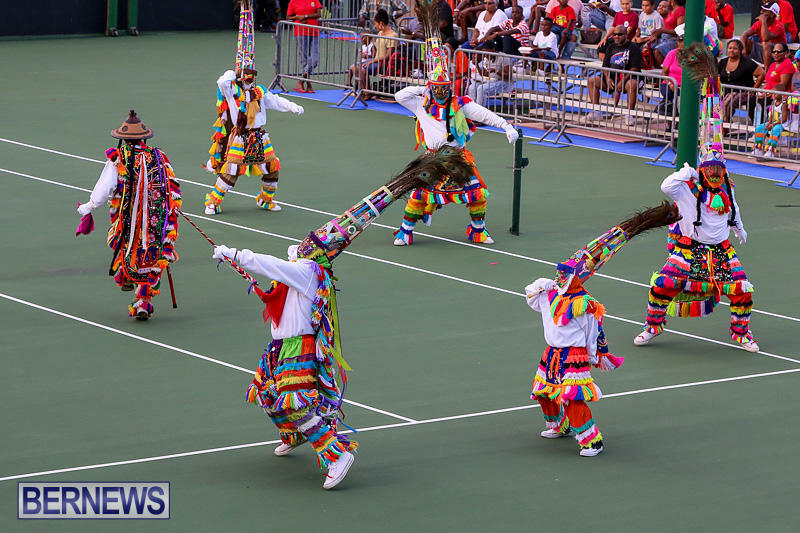 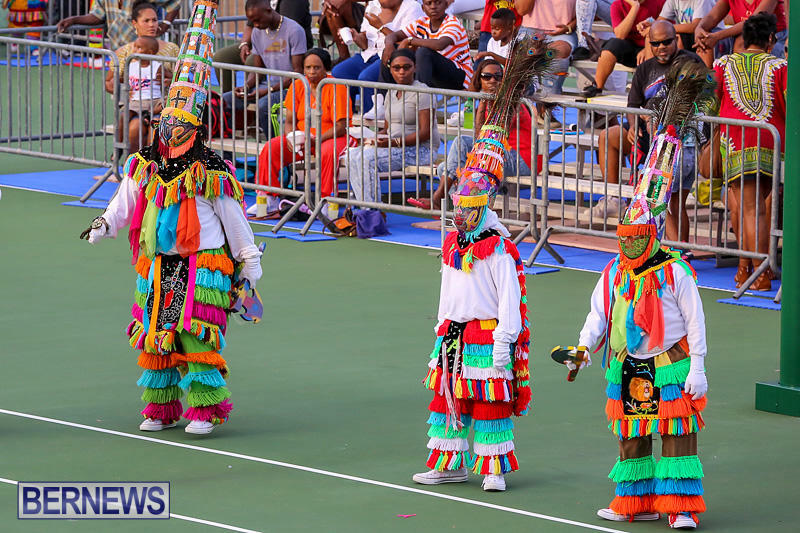 Details: Bring a blanket or chair and head to the hillside or bleachers to watch Bermuda’s Gombey troupes display their passion and artistry in the annual Gombey Festival showcase, with special international guests. 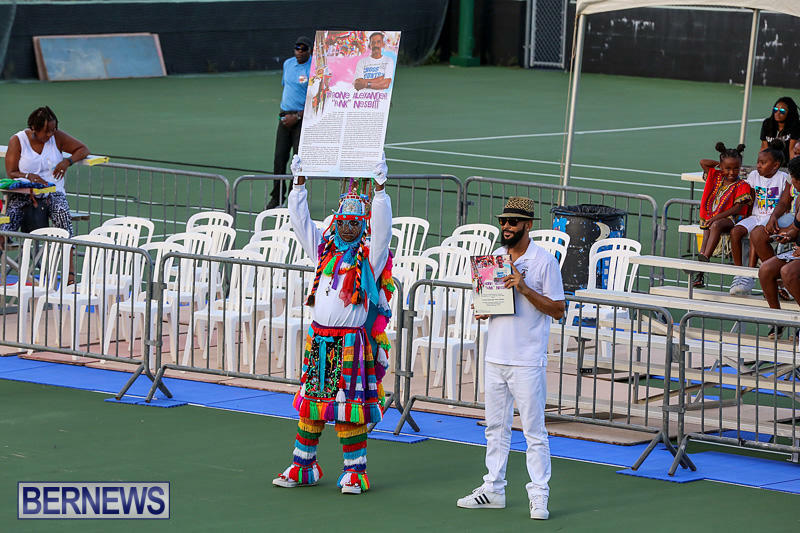 Refreshments will be available for purchase. 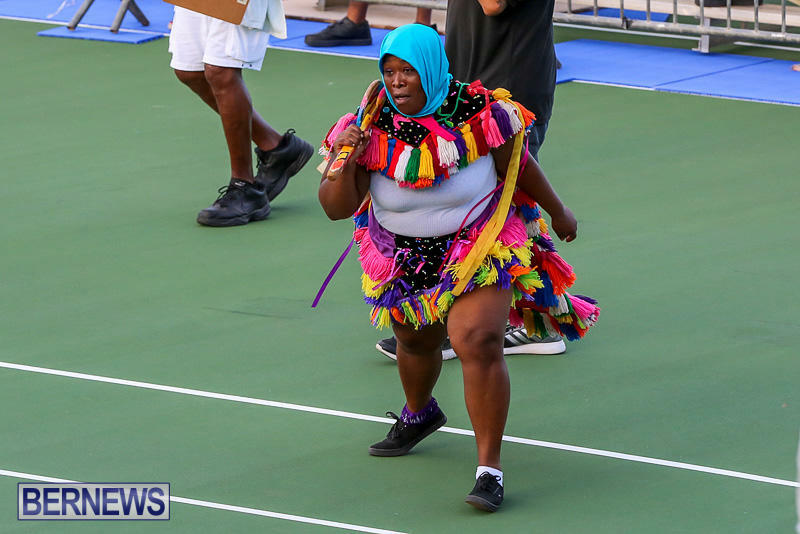 Cost: Entry is free. 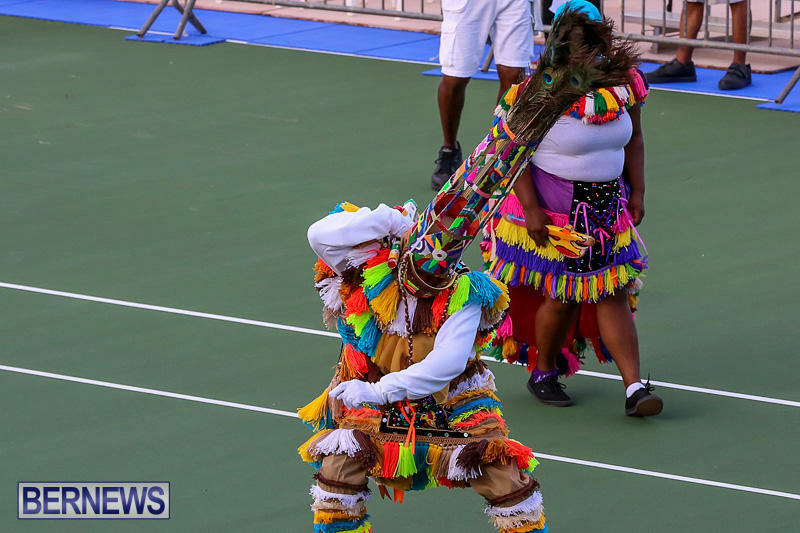 Food and Beverage will be available for purchase from Tobacco Bay concession. 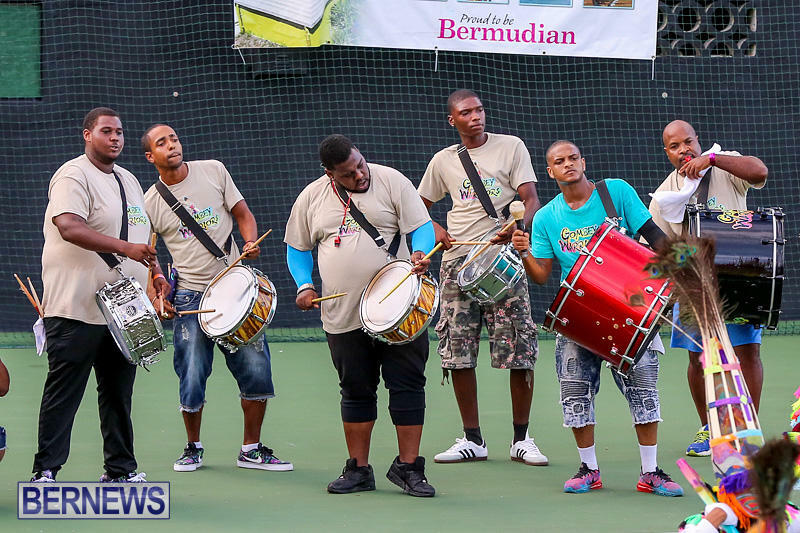 Details: Hosted by Tobacco Bay and sponsored in-part by the Department of Community and Cultural Affairs, the Gombey Festival Weekend Sundowner is your chance to mingle with local Gombeys and overseas guests in a laid-back acoustic environment with sun loungers, ambient bonfire, and DJ. 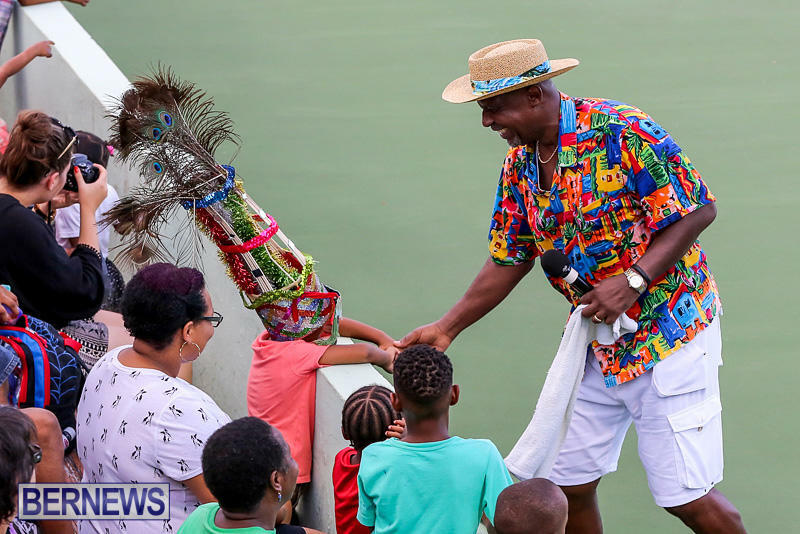 Details: Join us at Verdmont for an in-depth discussion on the origins and evolution of the Bermuda Gombey, hosted by Gary Phillips, chairman of the Bermuda National Gallery. 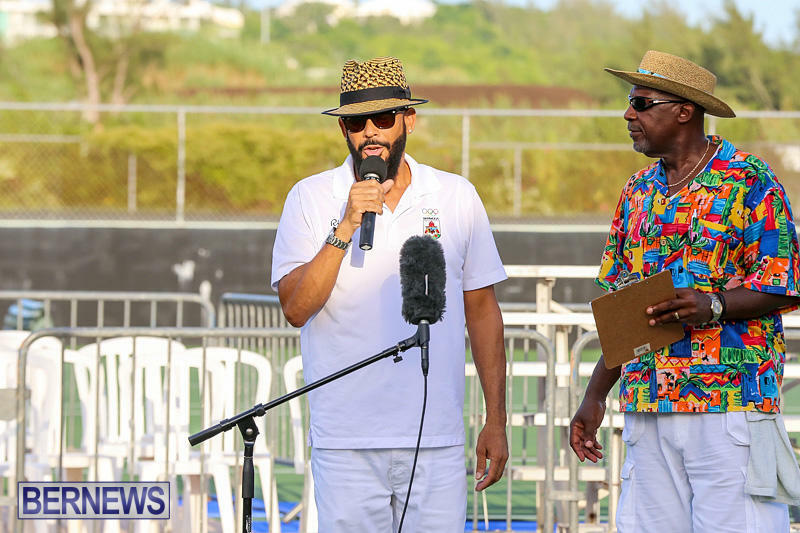 Gary will be interviewing active leaders of Bermuda Gombey Troupes, diving deep into how the Bermuda Gombey has evolved, the diverse use of semiotics across the troupes as well as what it means to be a Gombey now. 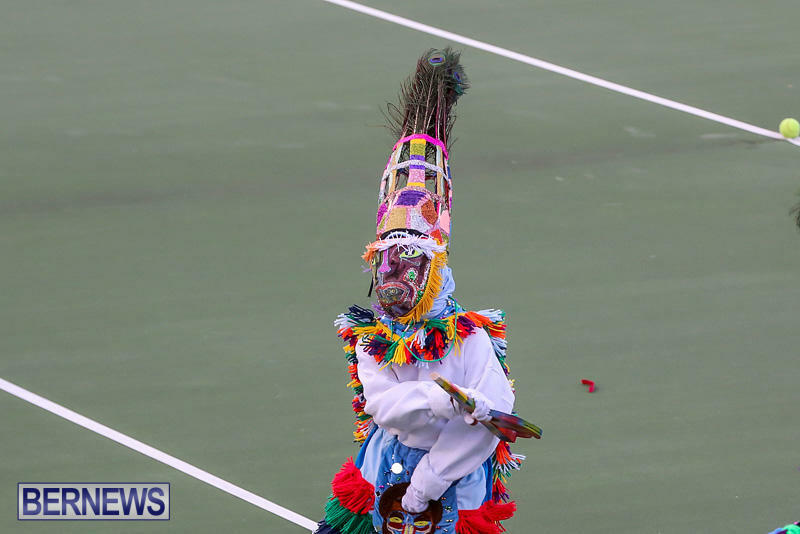 Can you tell me what relationship Gombeys have with Bermuda? 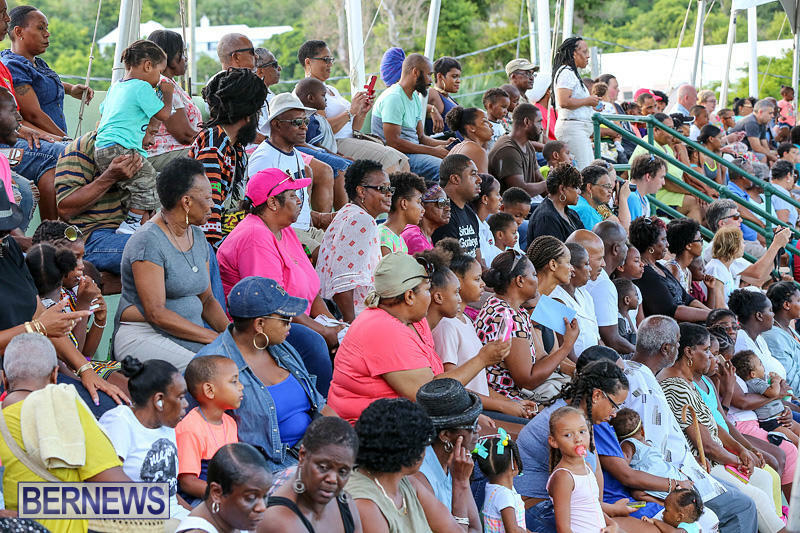 Attend the function, ask questions and perhaps participate. 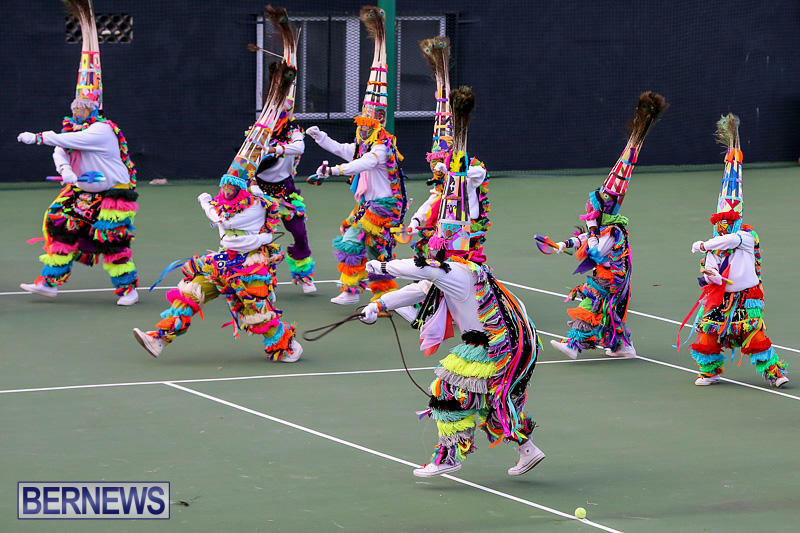 Did not answer my question. 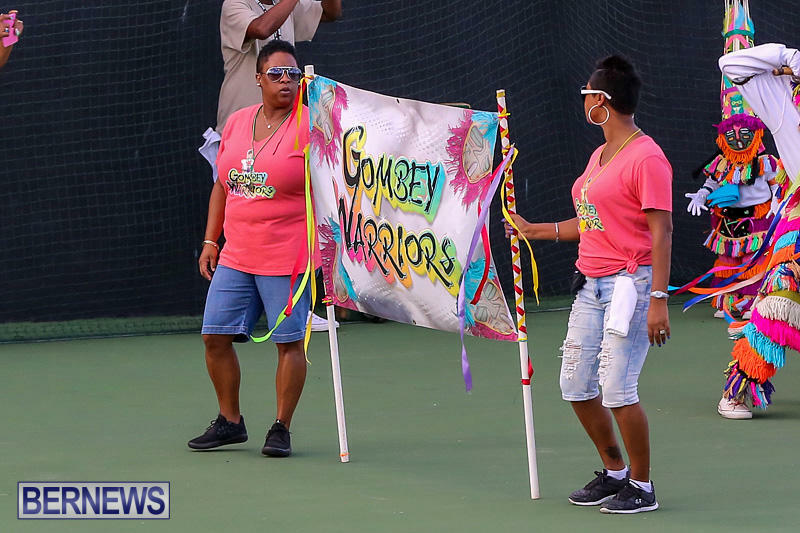 Is there any Bermuda historical meaning to the Gombey? 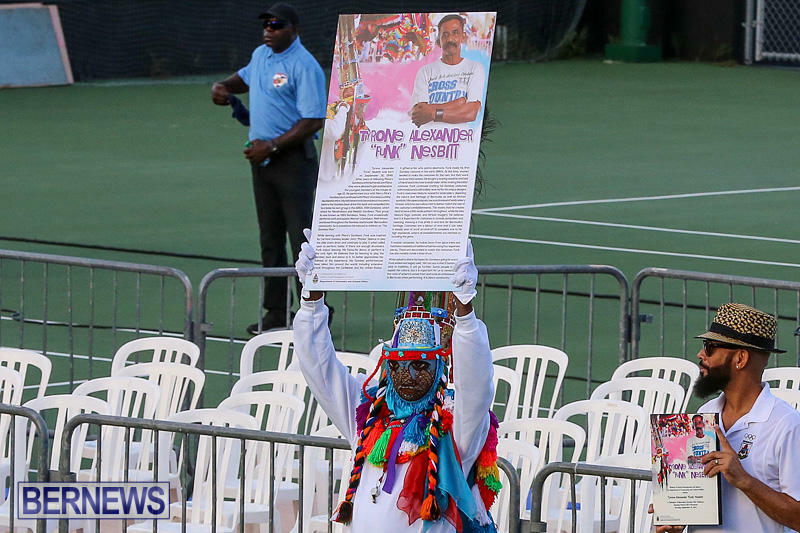 No i will not be attending. 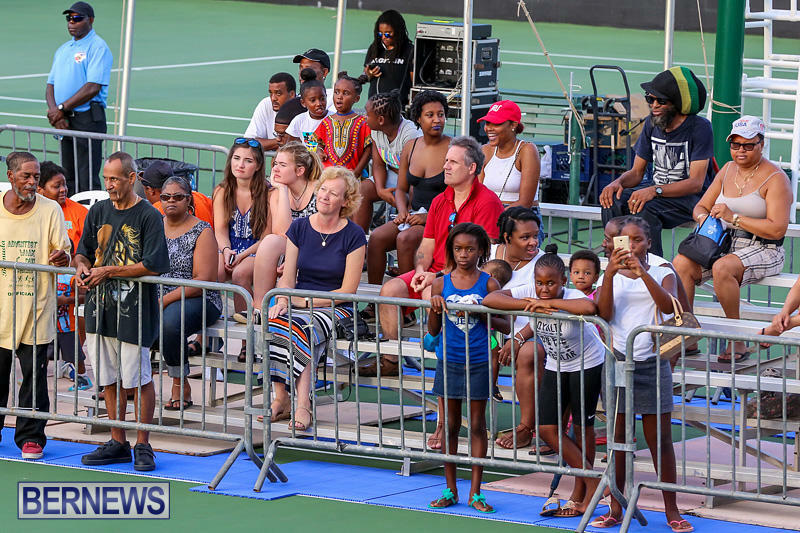 Not interested in watching them, thank you.